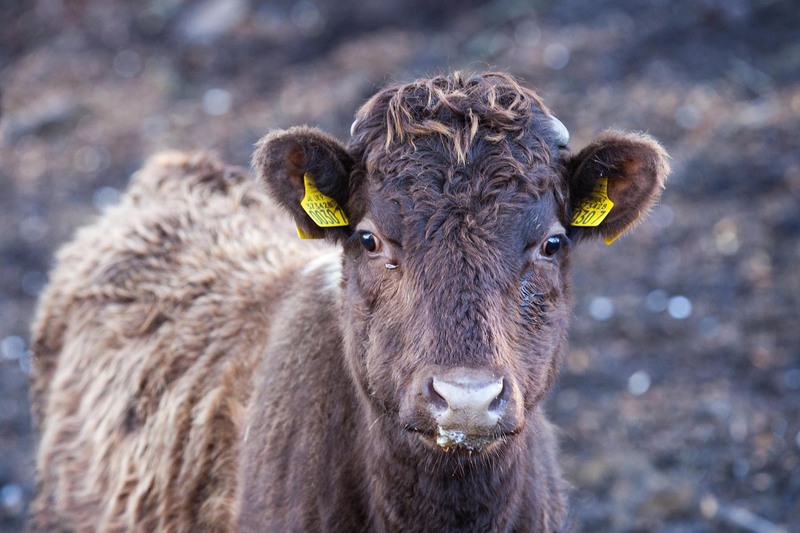 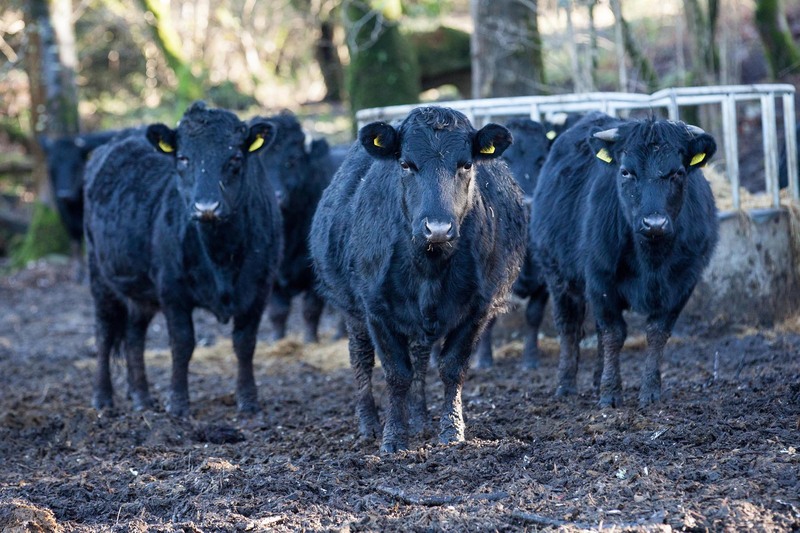 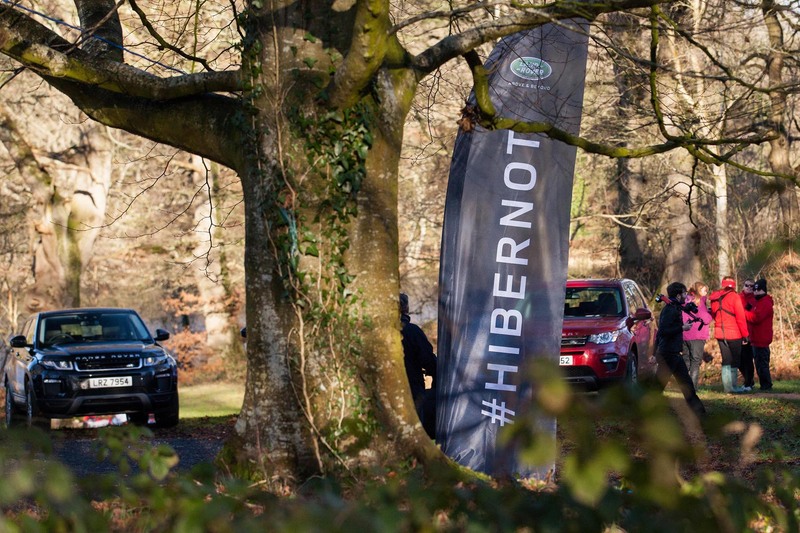 This morning we arrived at Finnebrouge Woods just outside Downpatrick where after a short drive through the forest we met what was lying in wait for us as part of the #HIBERNOT event. 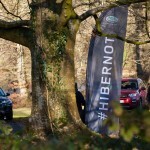 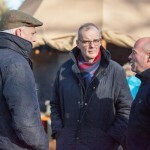 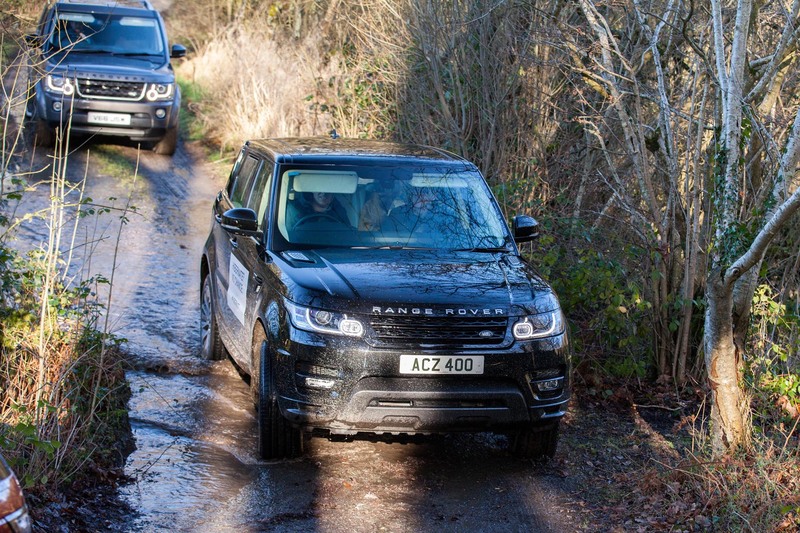 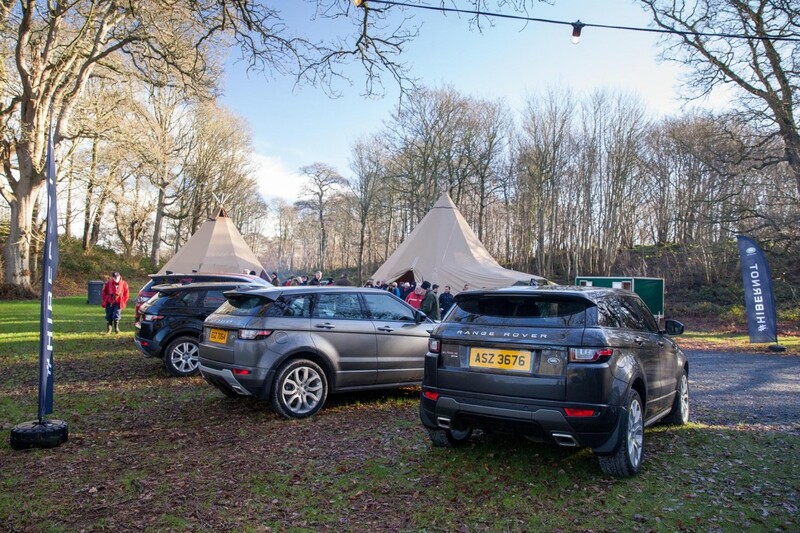 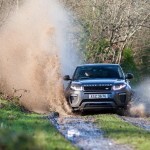 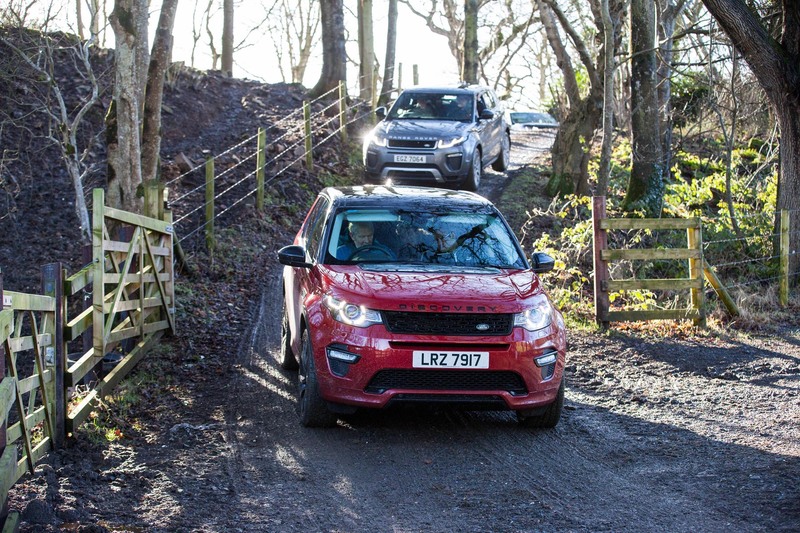 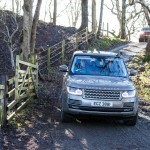 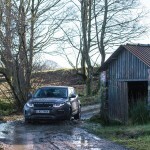 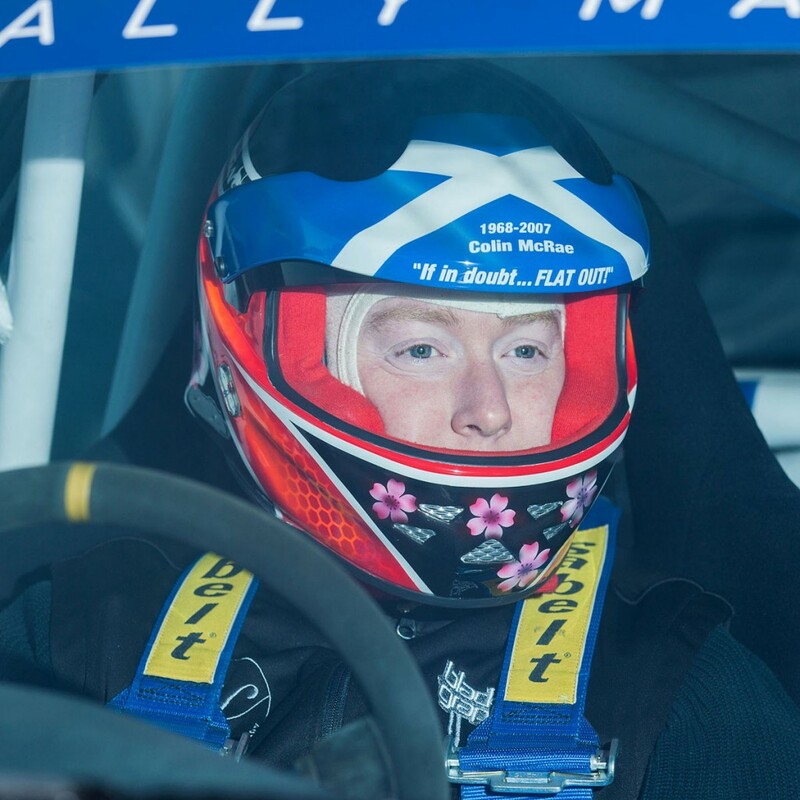 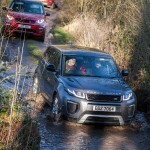 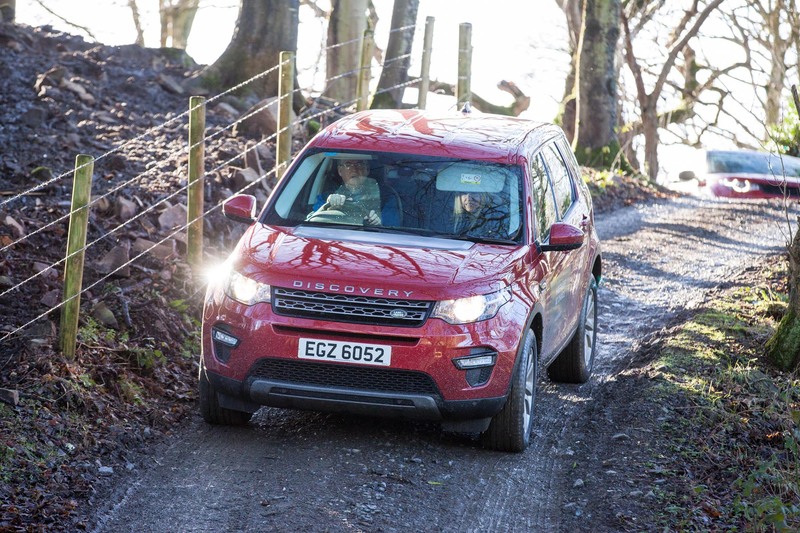 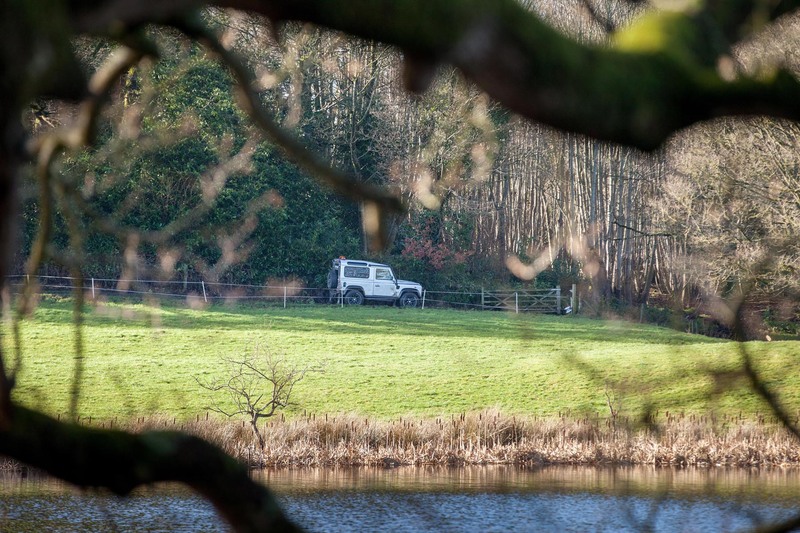 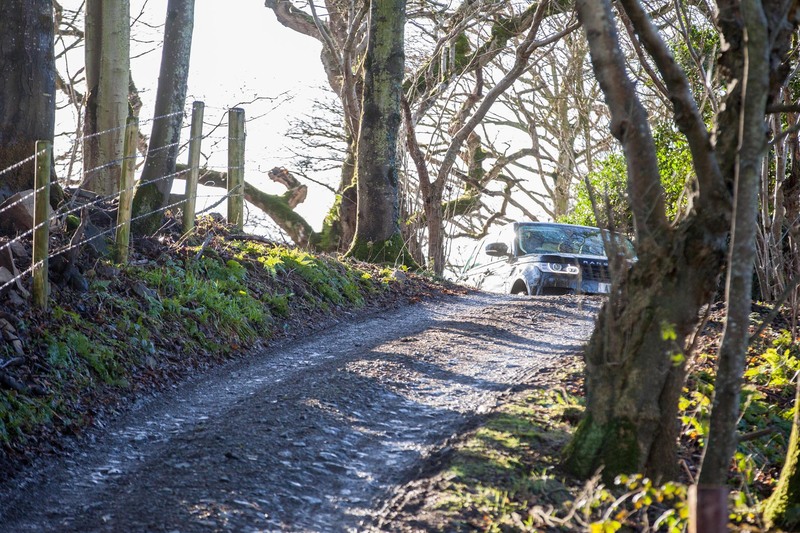 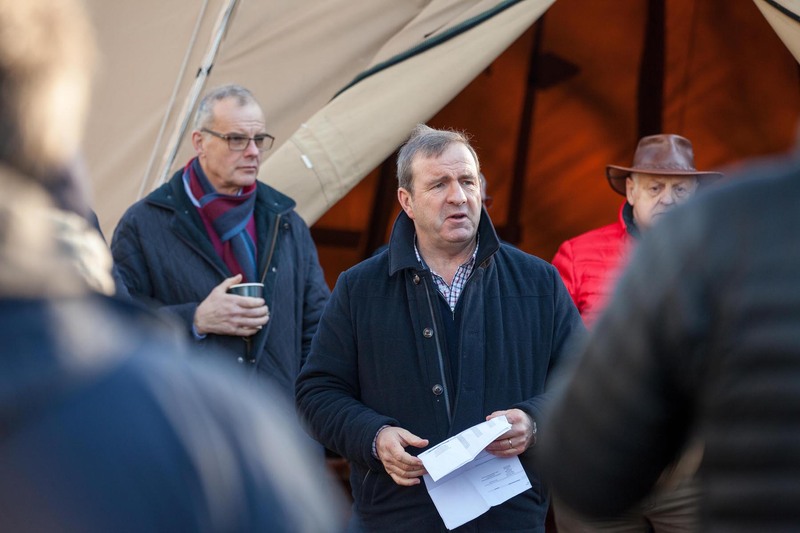 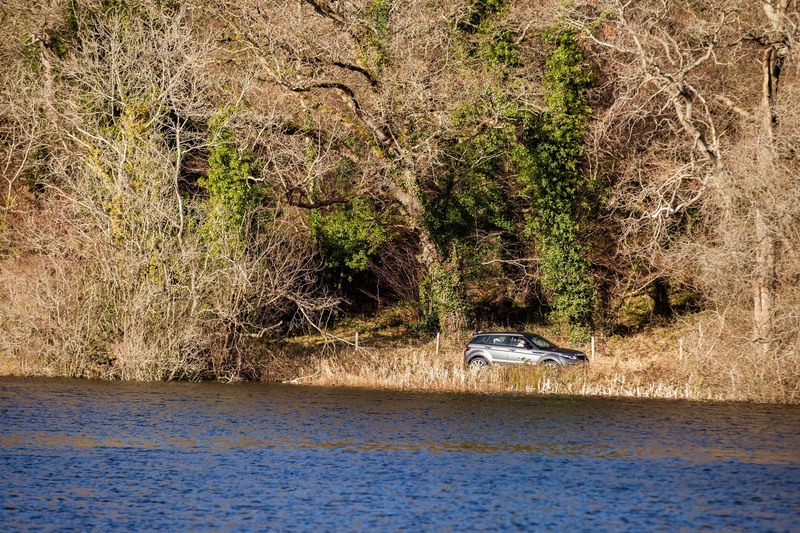 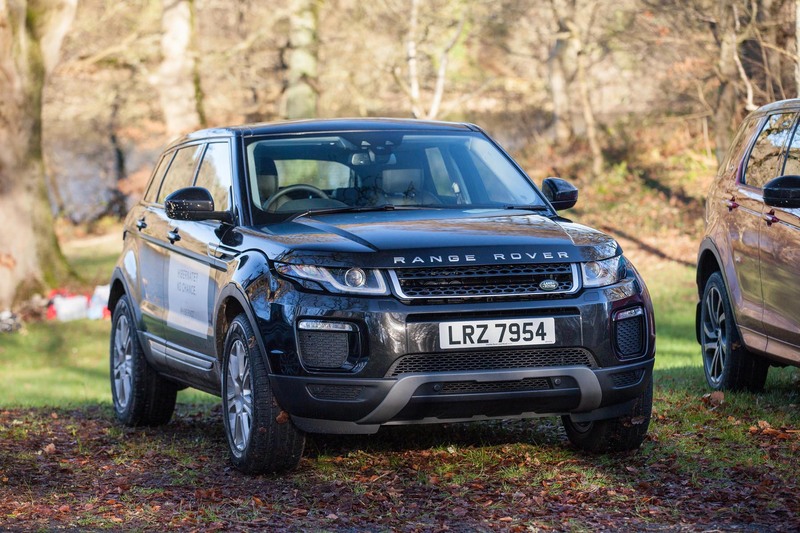 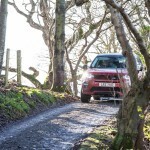 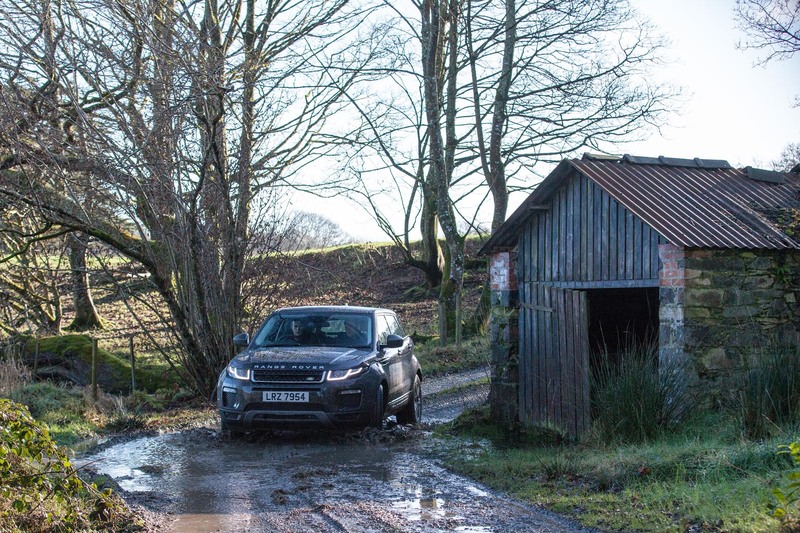 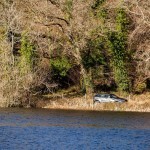 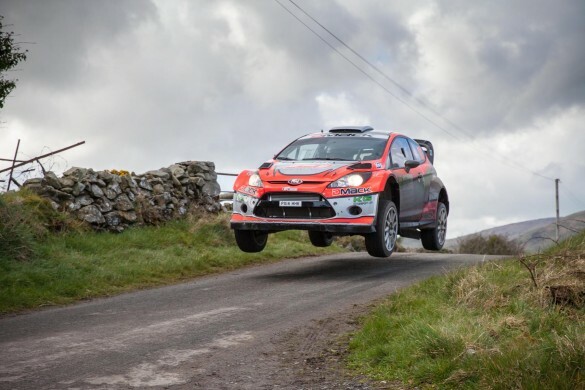 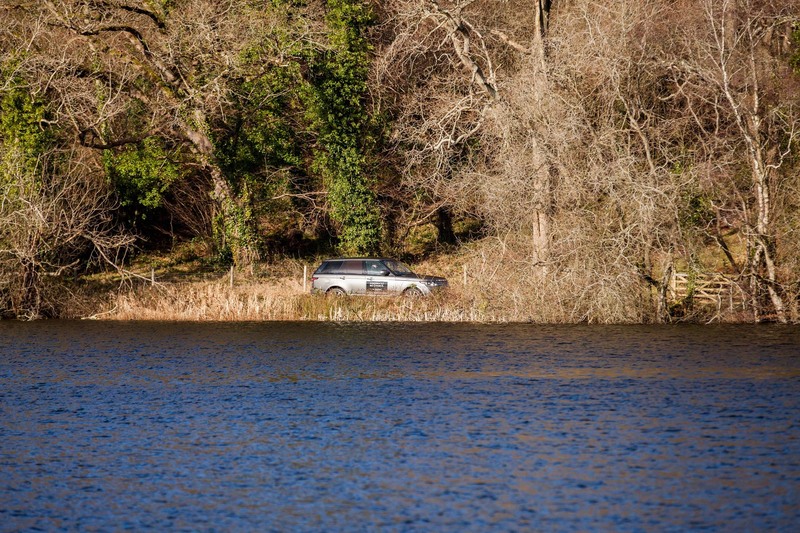 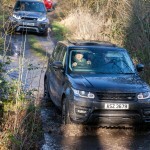 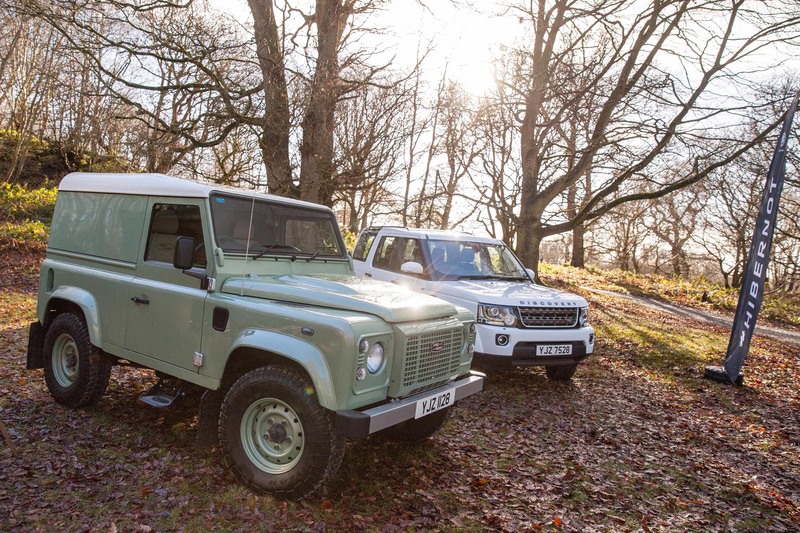 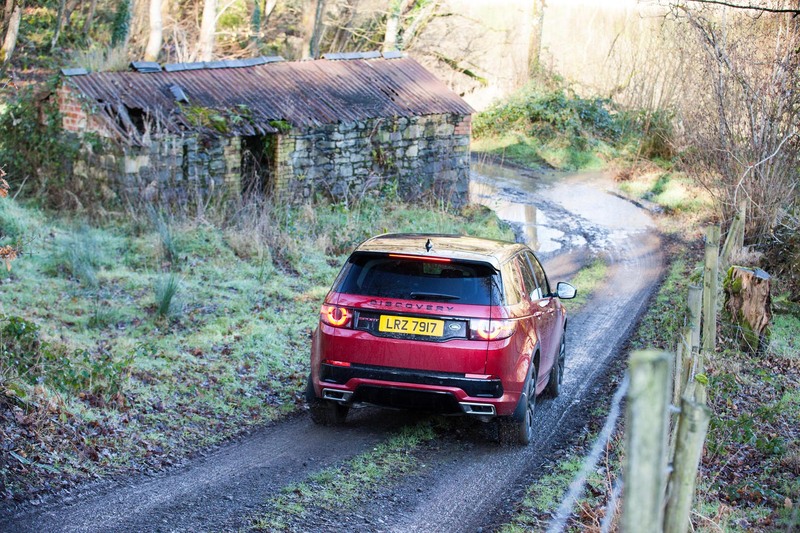 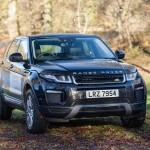 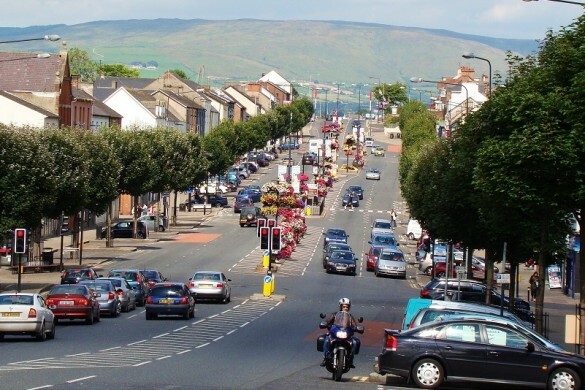 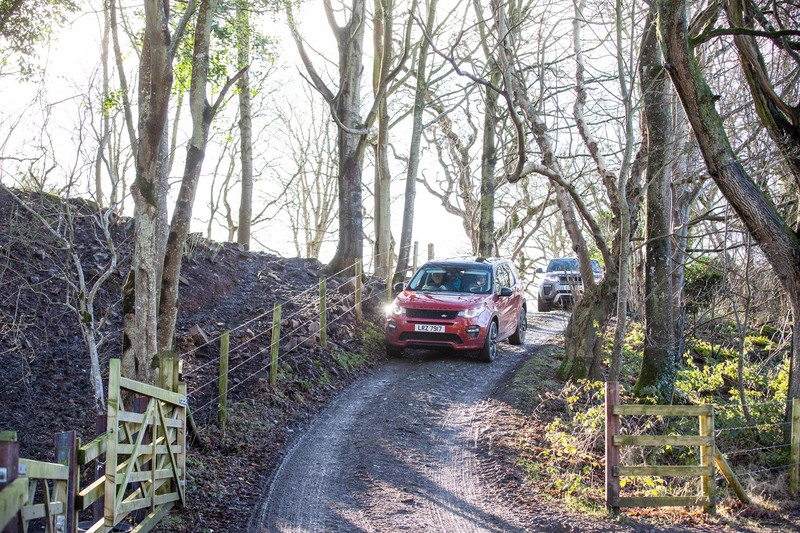 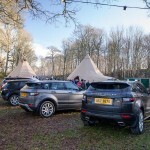 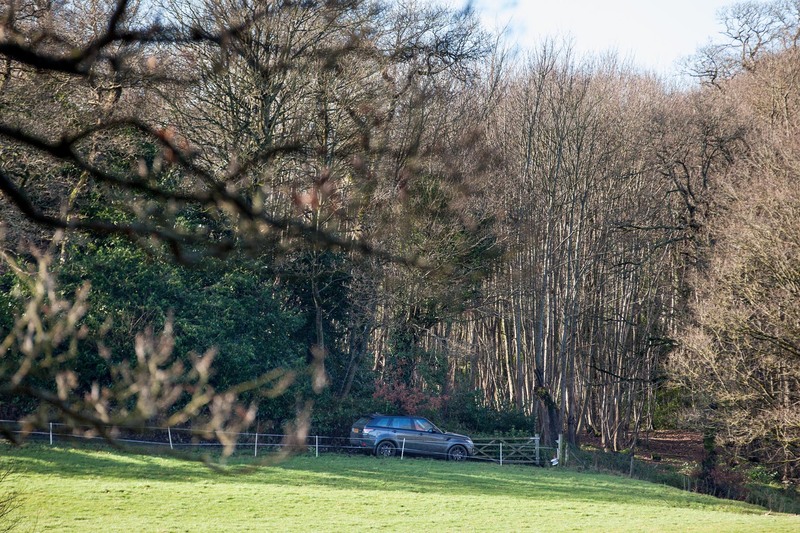 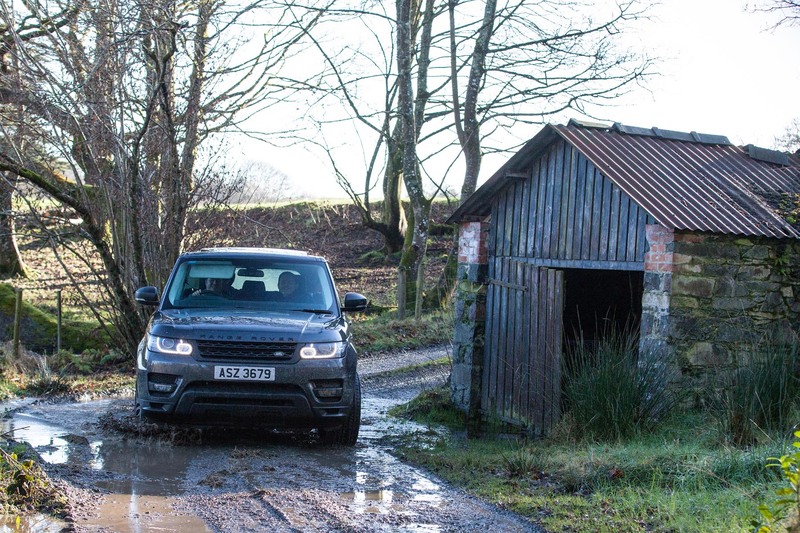 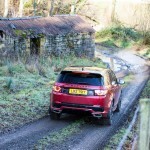 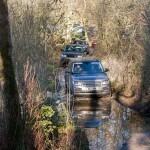 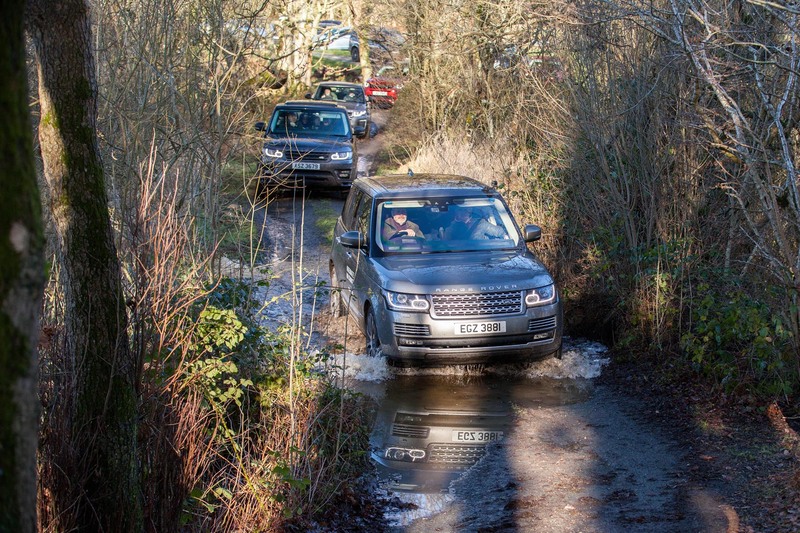 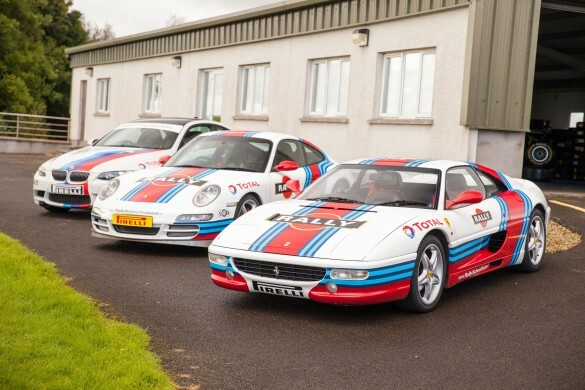 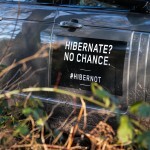 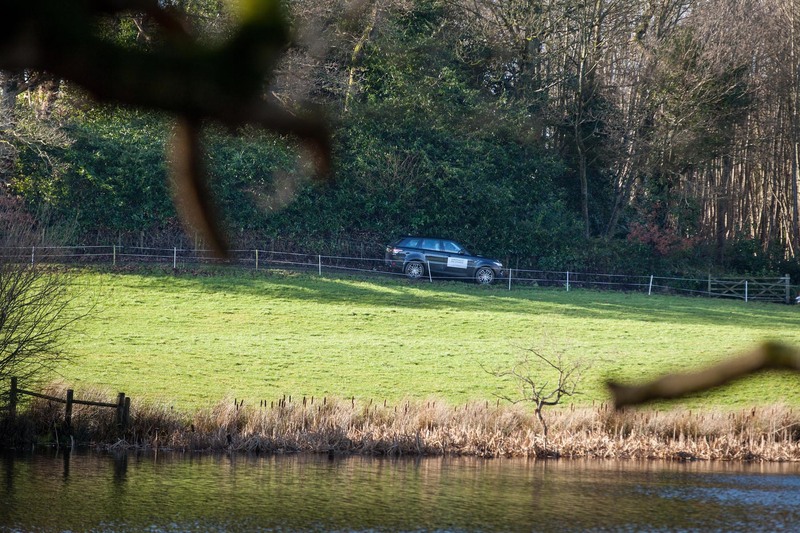 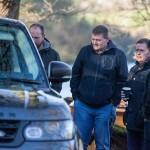 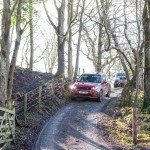 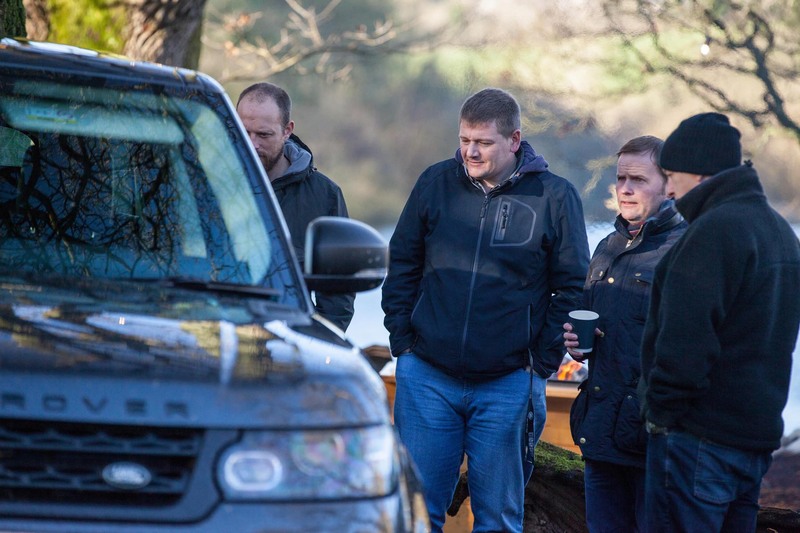 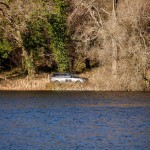 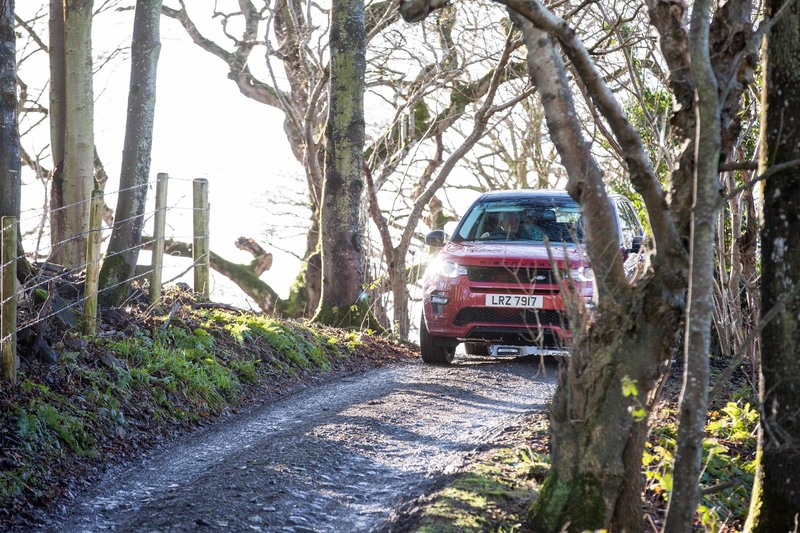 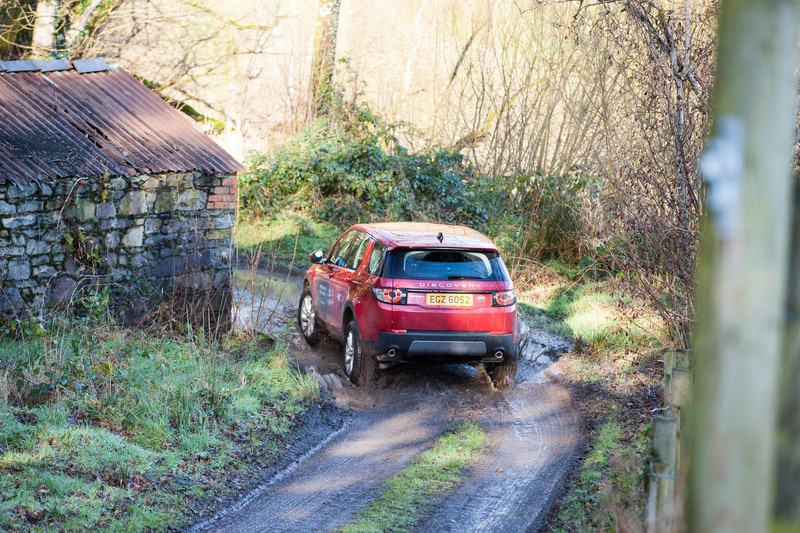 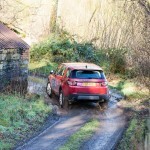 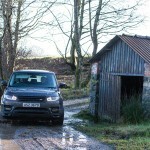 In conjunction with a nationwide campaign, aimed at getting Land Rover owners out of hibernation to enjoy the full range of cars on offer as well as the great outdoors and everything winter can offer, this particular event was organised by Land Rover Belfast. 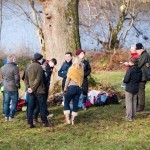 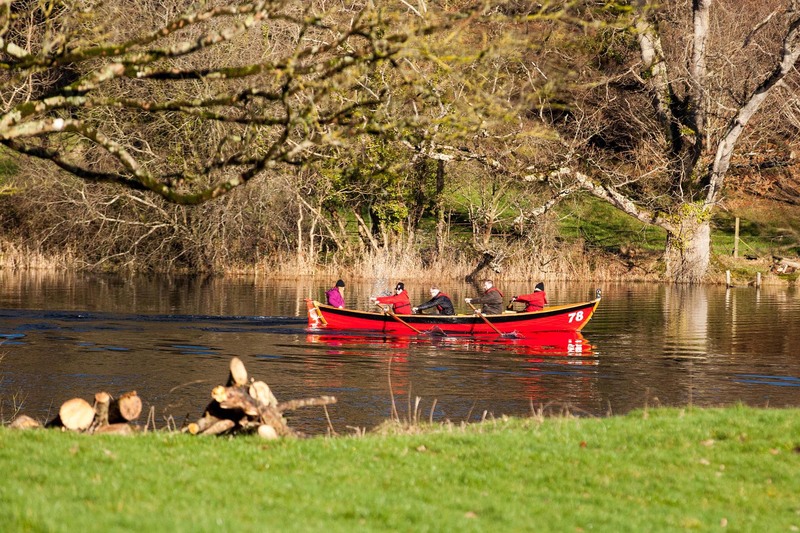 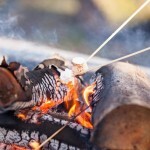 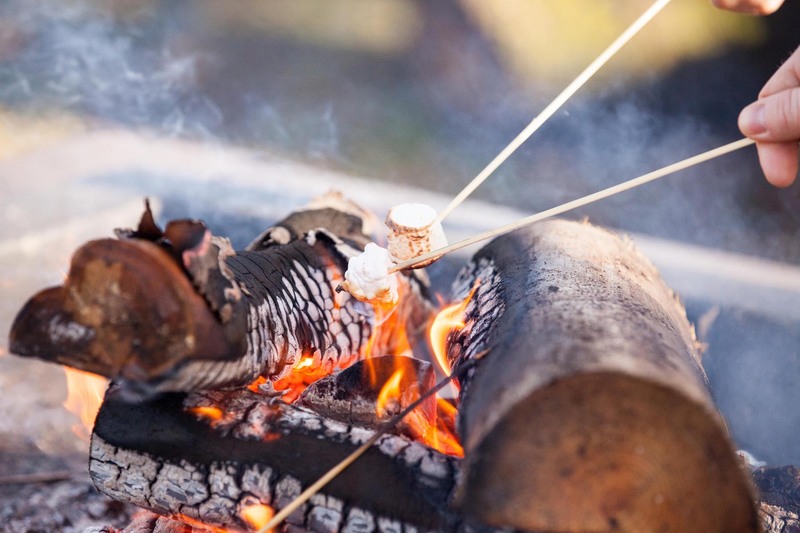 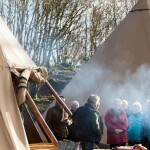 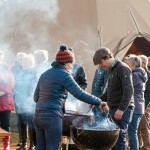 Smoke rose vigorously from the BBQ’s set just outside a pair of tepees, upon which the bacon was getting cooked for our breakfast baps and with wintry views over the lake as the sun started breaking through the trees, it was set to be a fantastic morning. 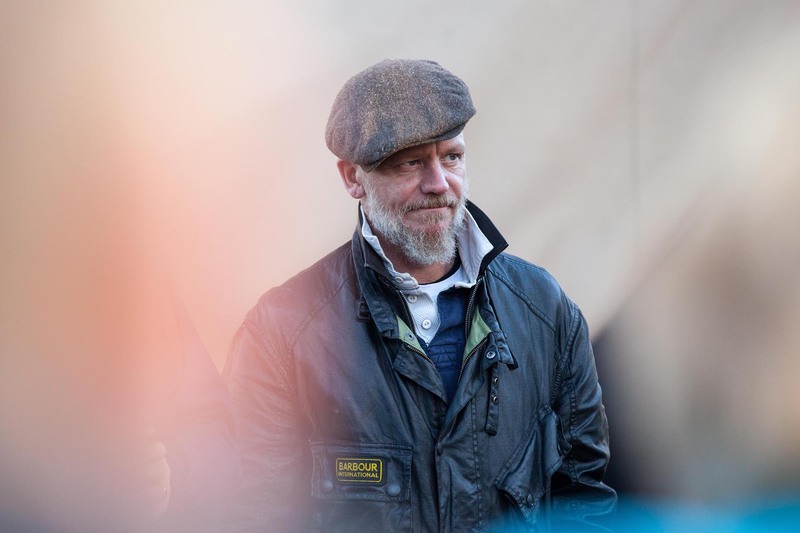 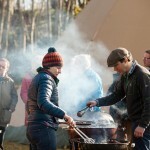 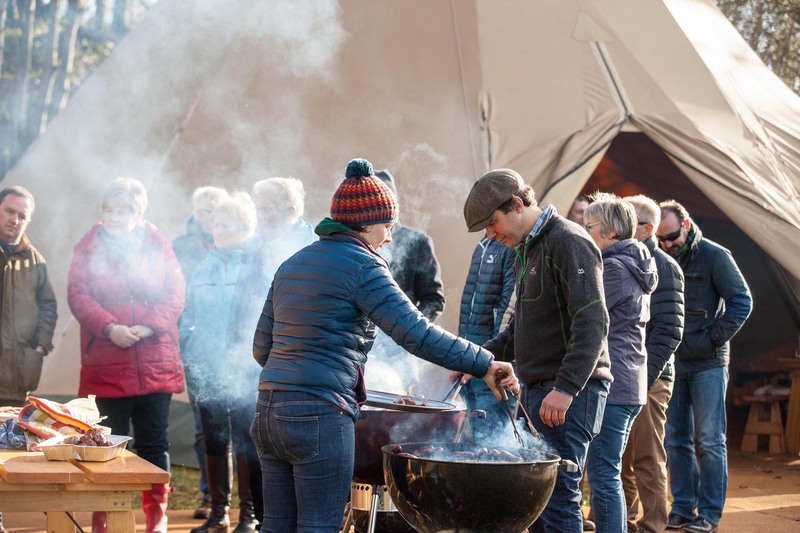 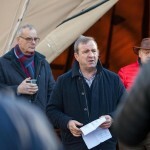 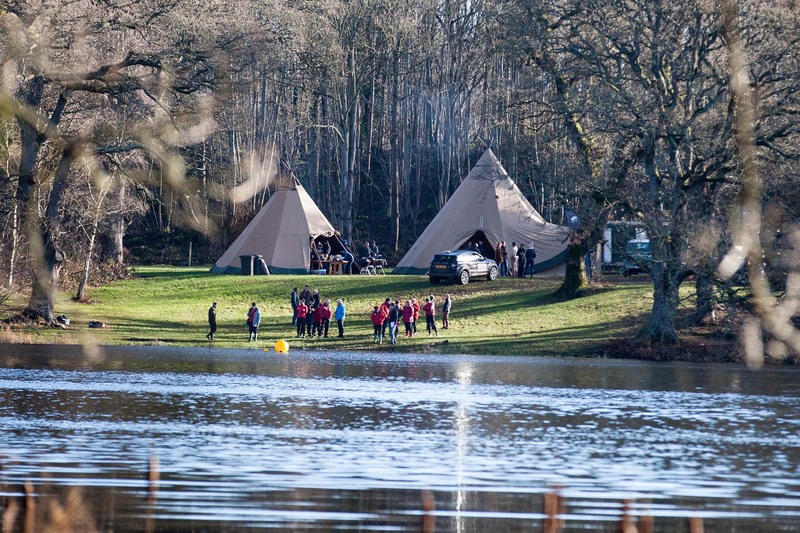 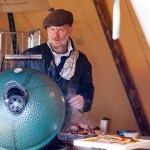 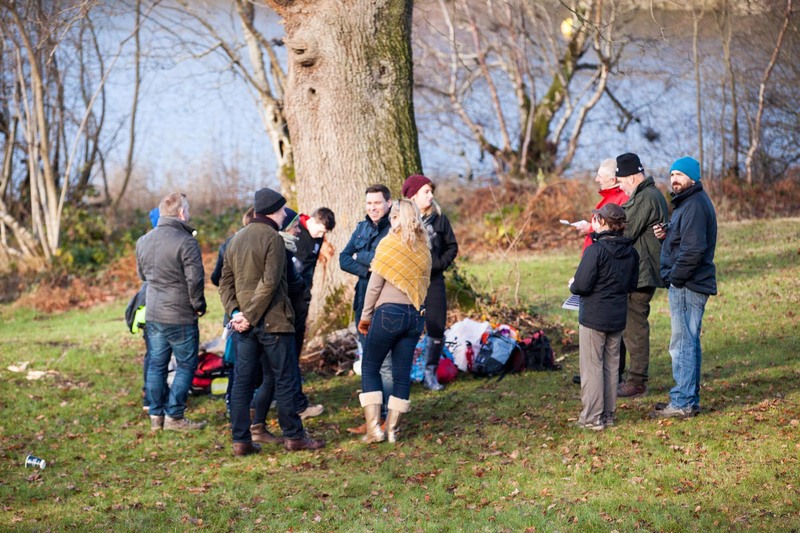 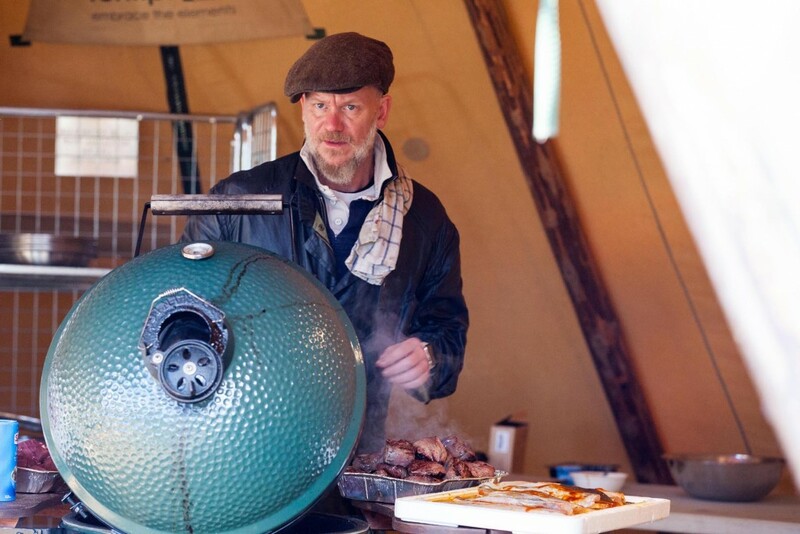 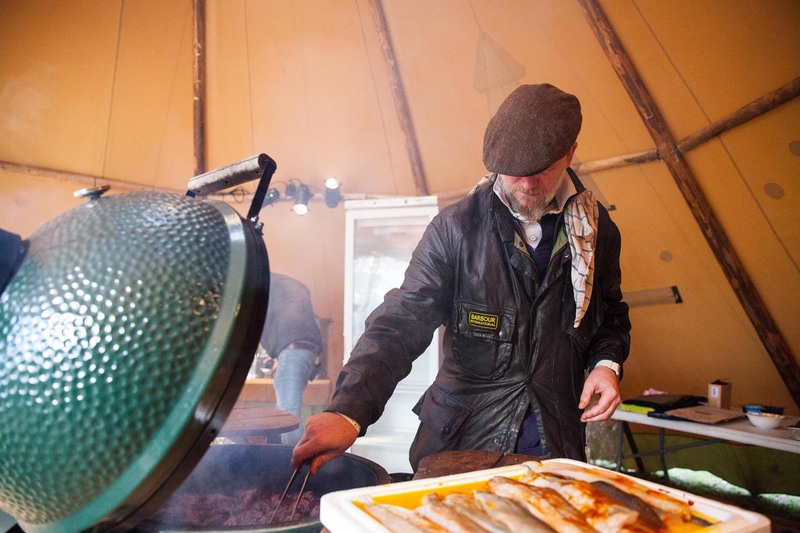 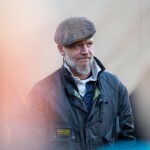 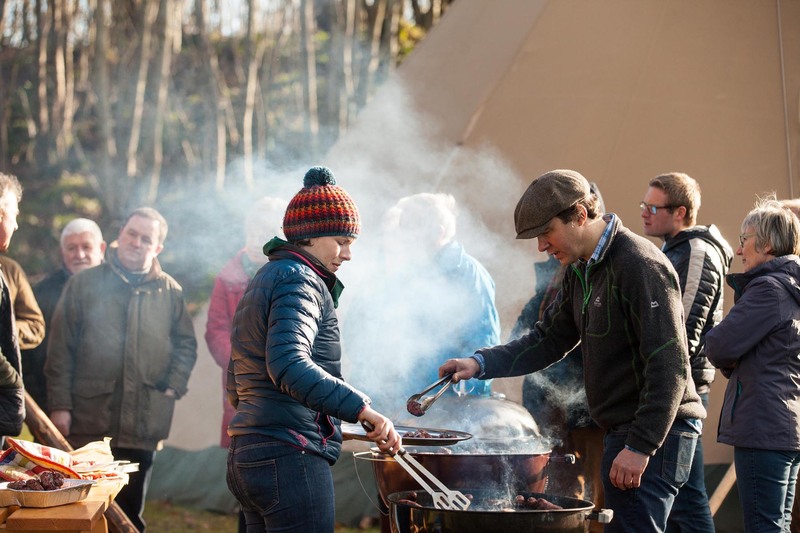 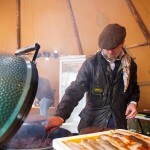 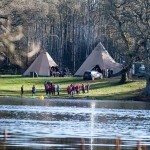 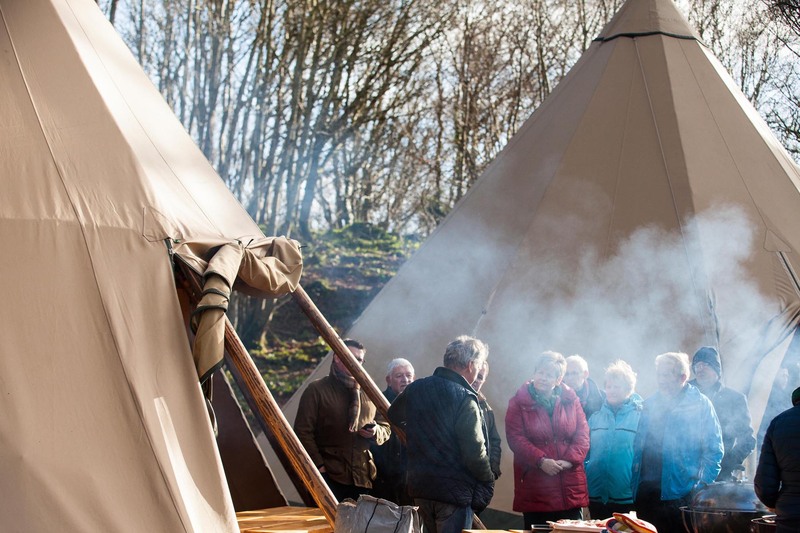 Within one tepee was Chef Chris Burt all the way from Shrewsbury who was preparing what was to be one seriously tasty winter BBQ for lunch that incorporated a seafood starter followed by the most delightful Finnebrouge venison as the main with a BBQ’d banana desert. 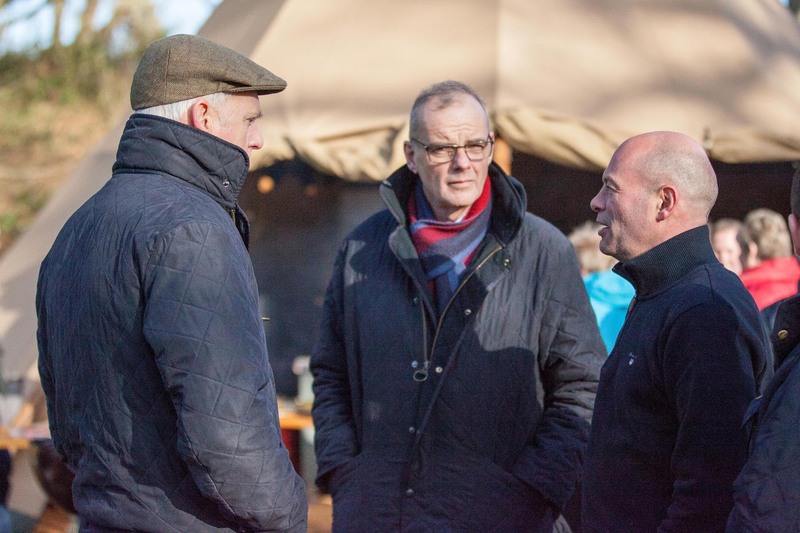 Chris was on hand during the day to demonstrate his cooking with guests who also enjoyed listening to tales of the estate and Finneborouge Artisian Foods of which Chris is a development chef, from the Lindsay family who have owned the estate for around 60 years. 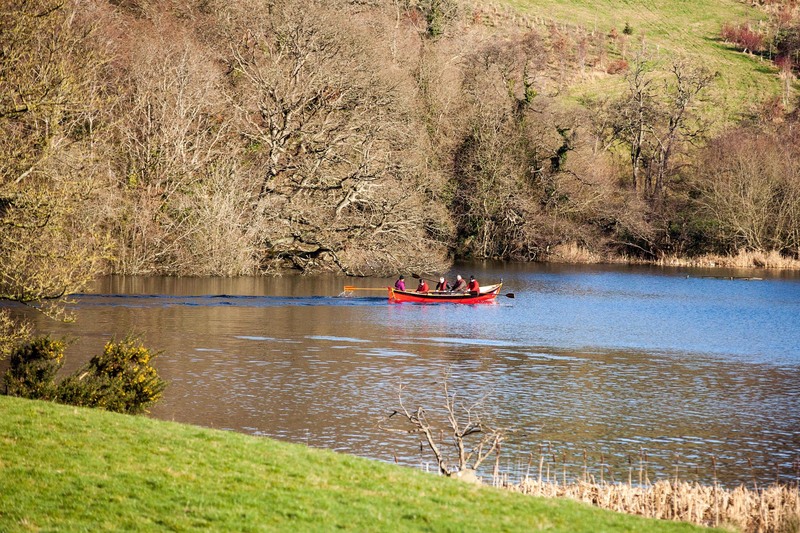 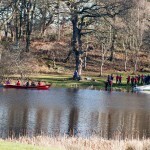 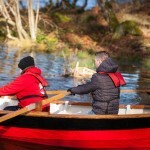 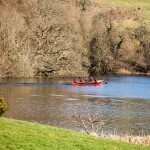 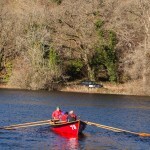 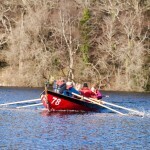 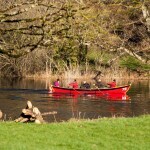 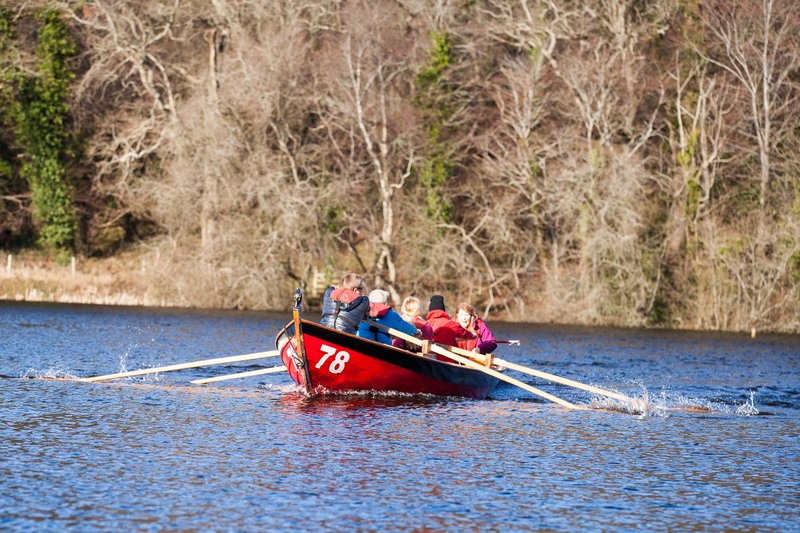 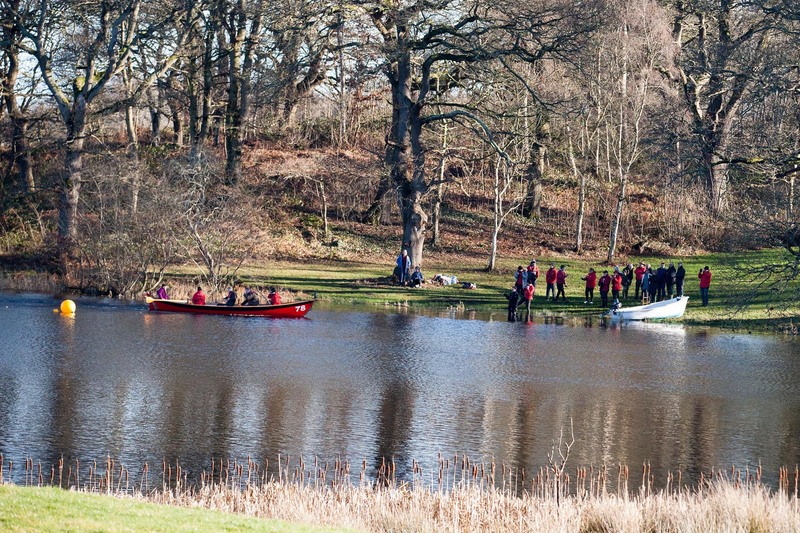 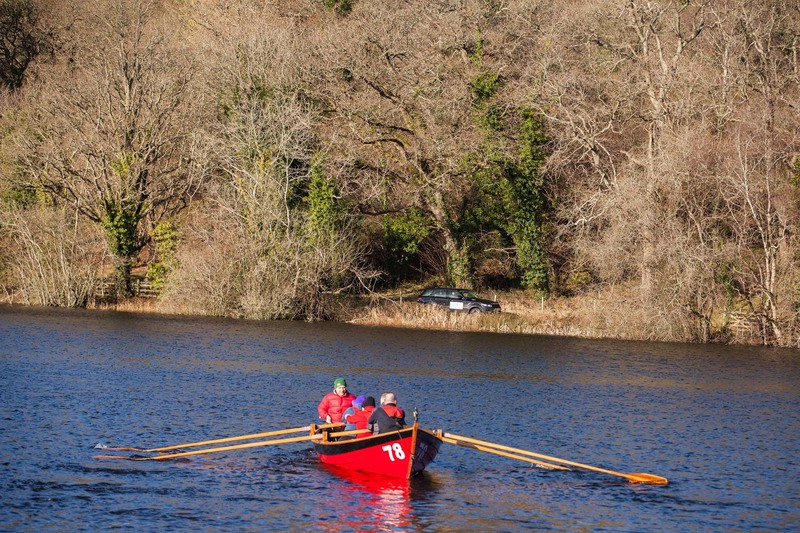 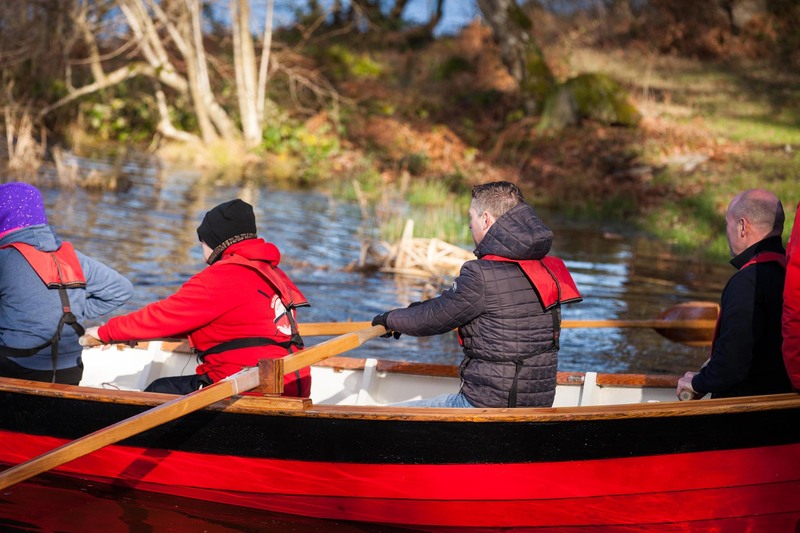 On the edge of the lake was another sign of things to come, in the guise of a rowing boat brought along by a local club, this meant Land Rover staff and guests would get the chance to don a life vest, climb aboard and take part in a timed lap of the lake with massive amounts of encouragement from bystanders. 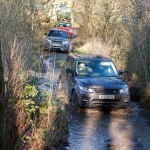 On top of this, a winter walk was on hand to aid in building an appetite pre-lunch however for us and many of those in attendance the main part of the day was getting to drive the Land Rover range on quite a picturesque meandering gravel track through the undulating woods and around the lake. 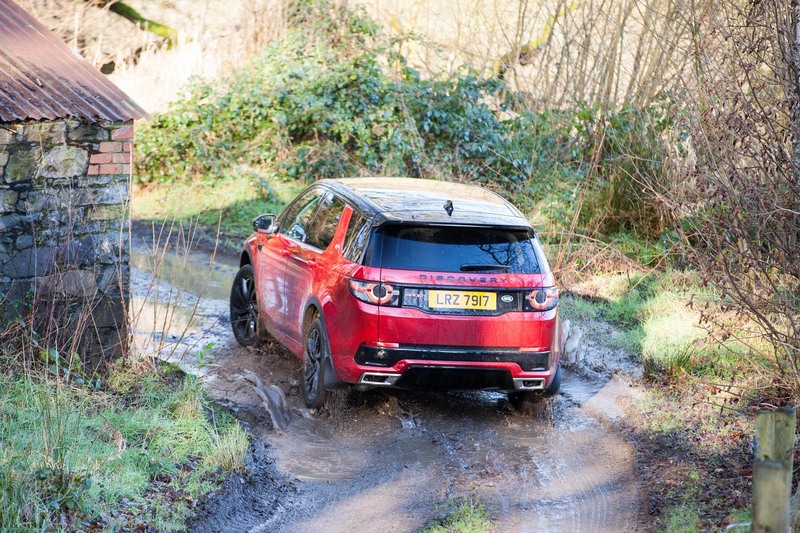 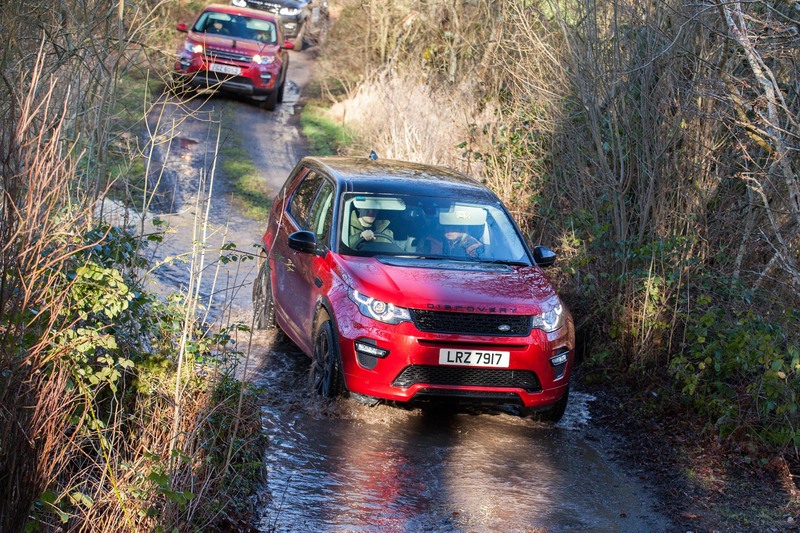 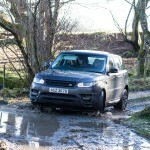 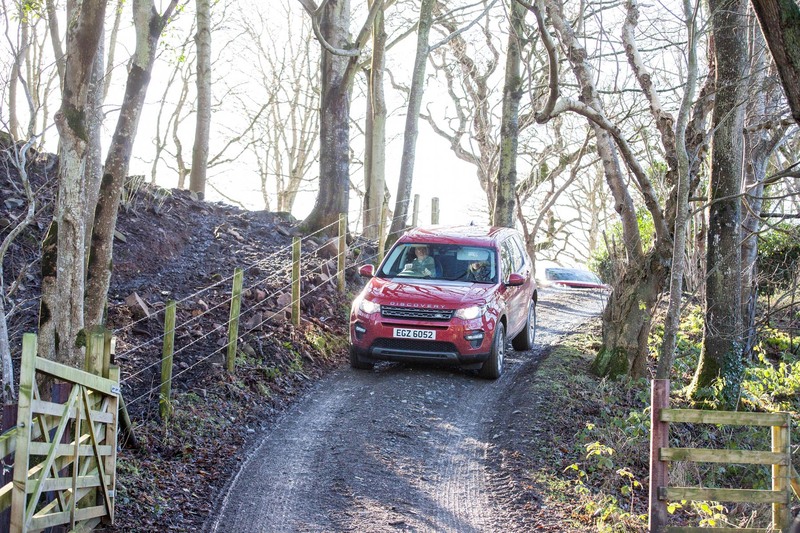 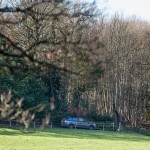 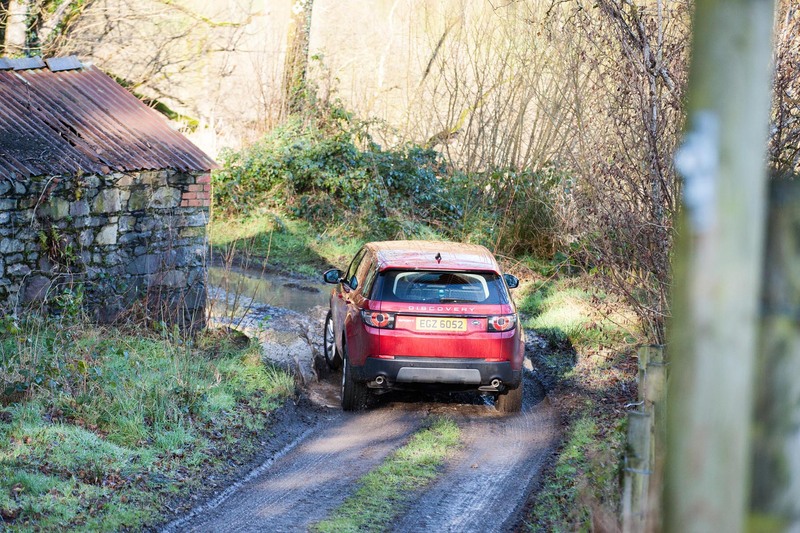 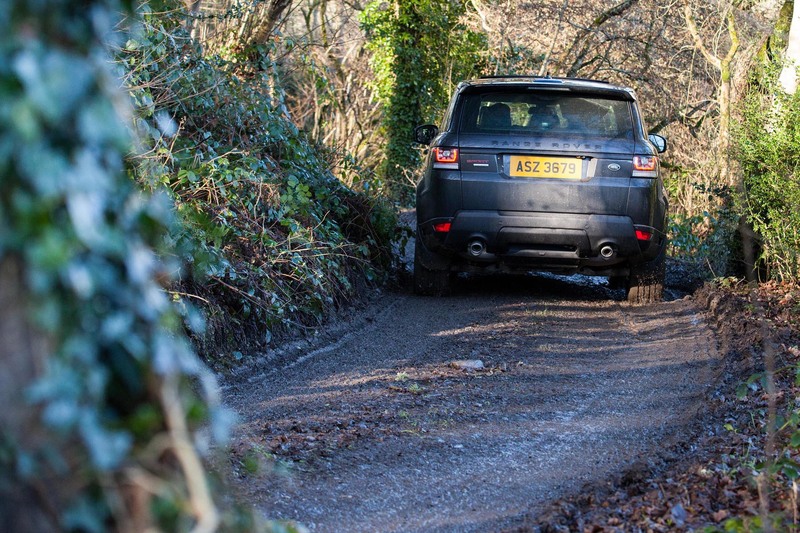 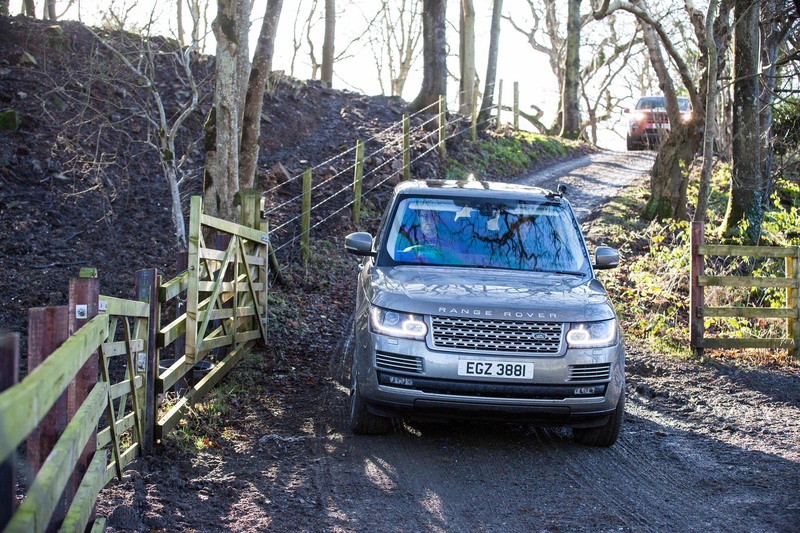 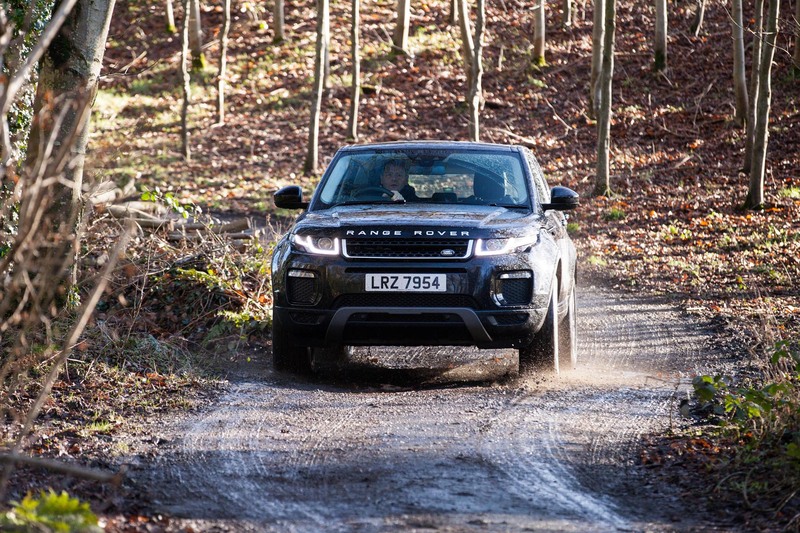 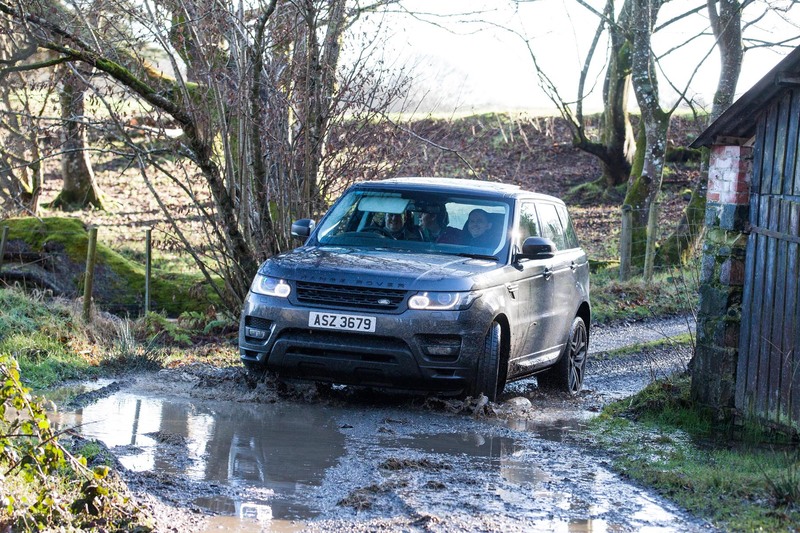 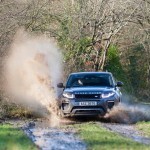 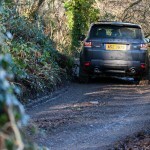 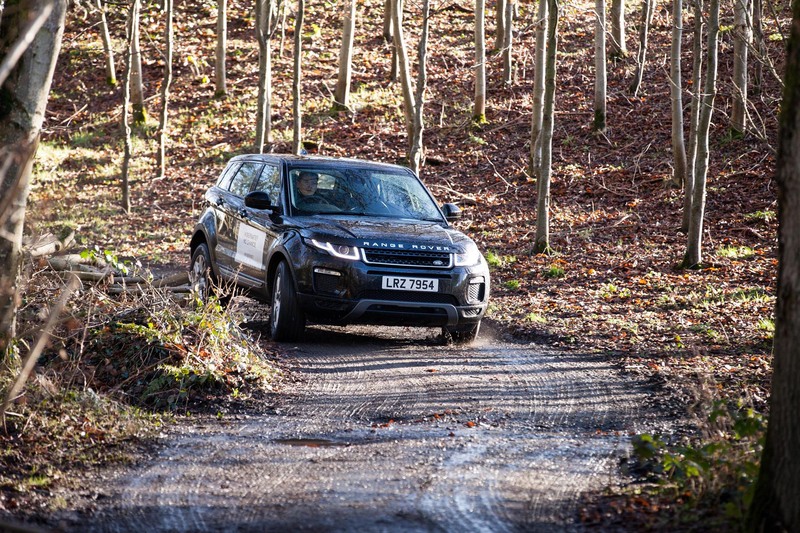 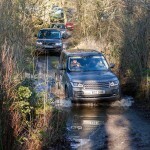 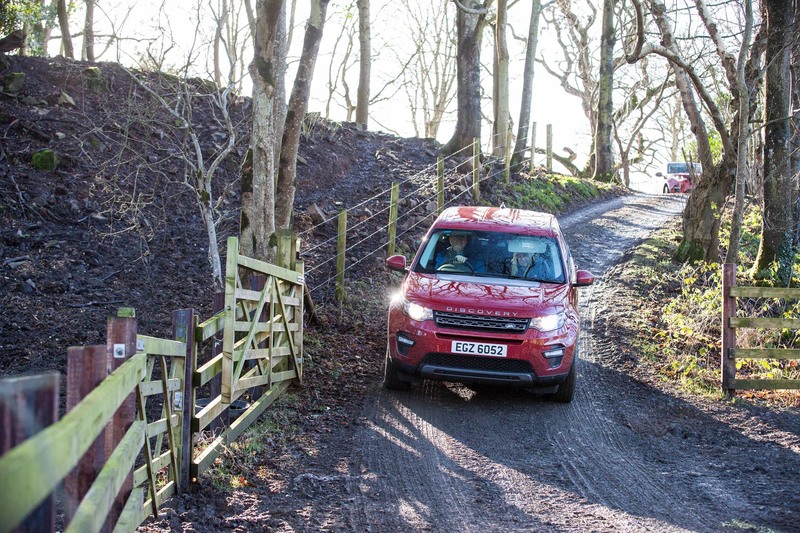 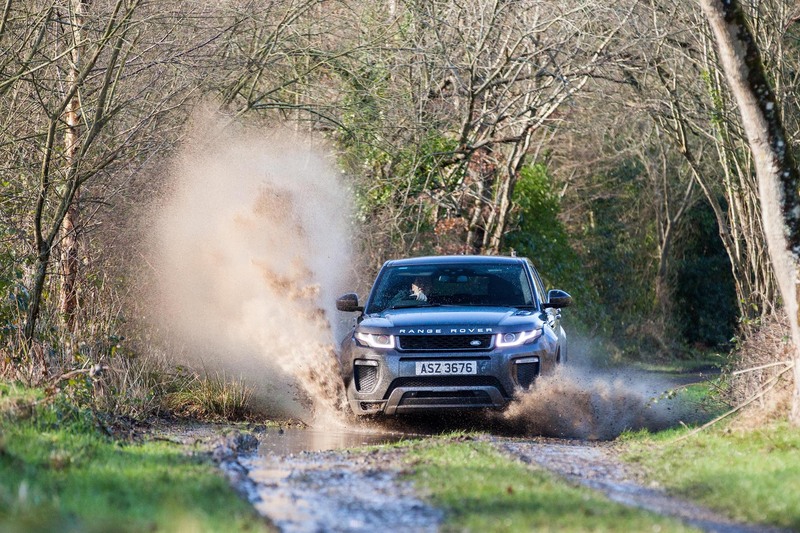 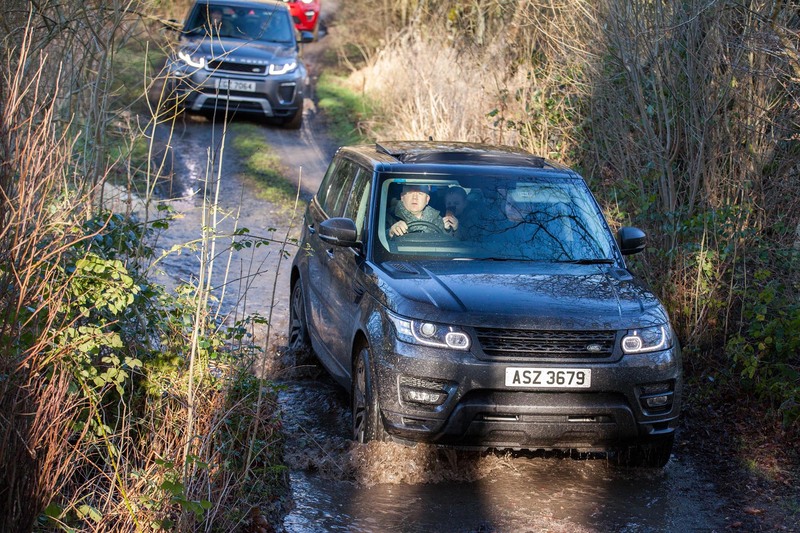 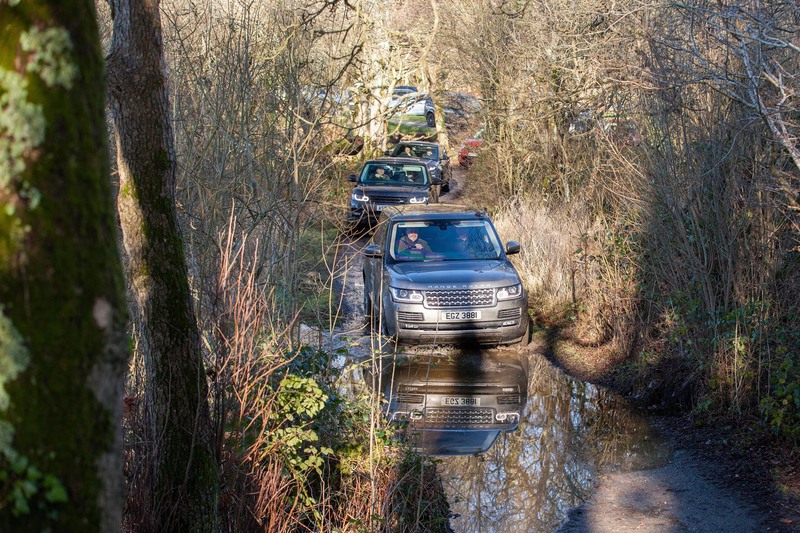 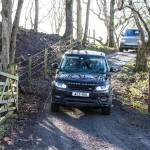 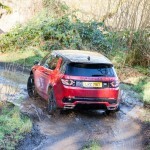 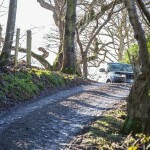 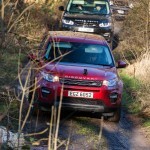 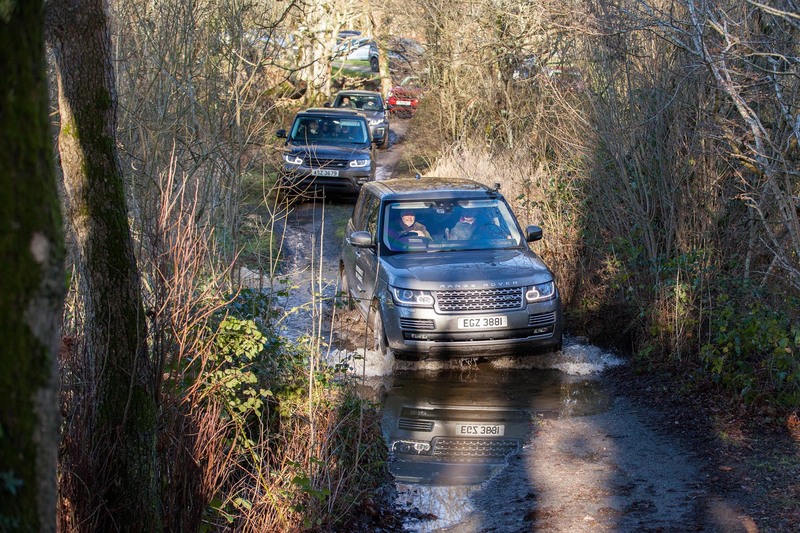 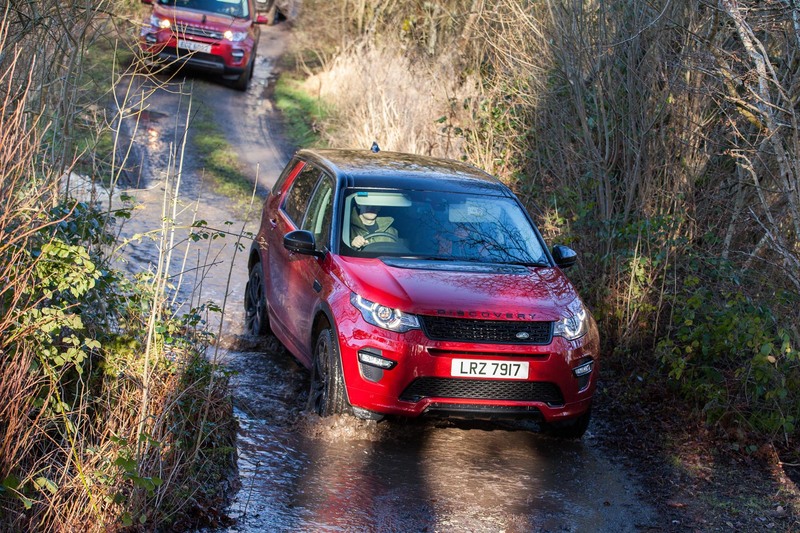 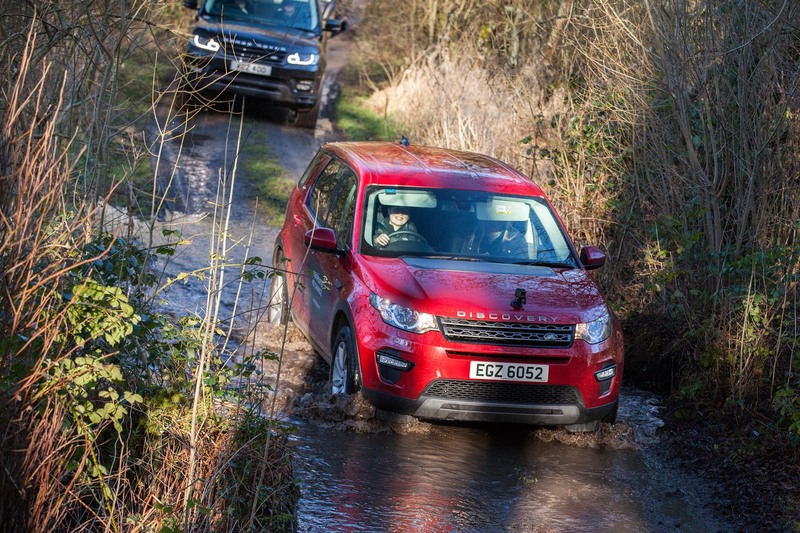 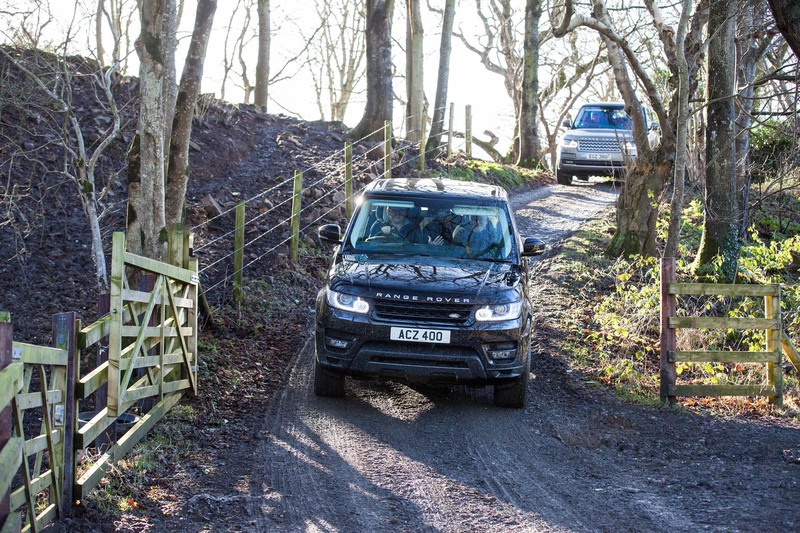 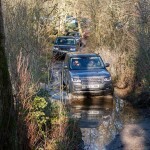 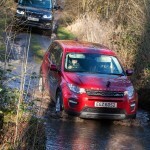 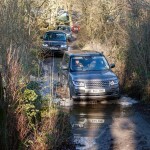 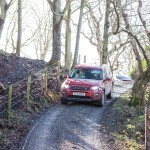 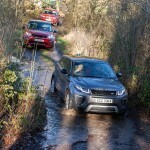 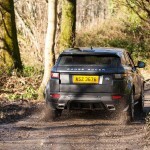 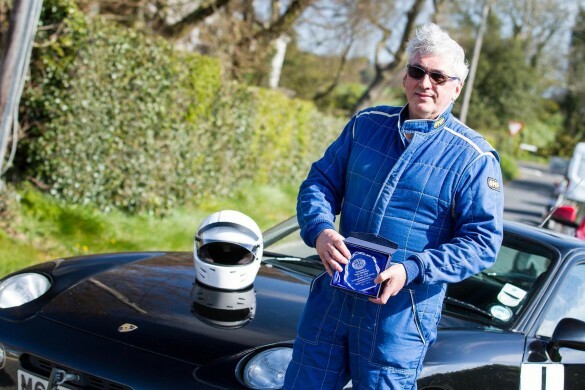 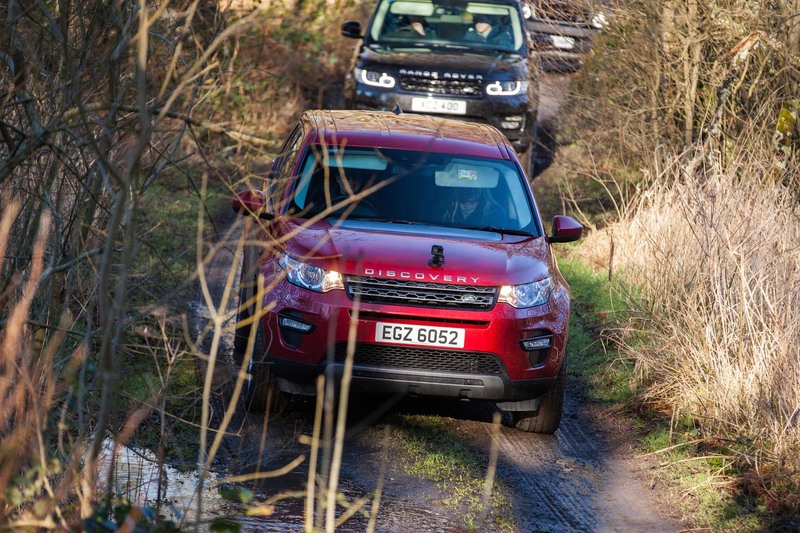 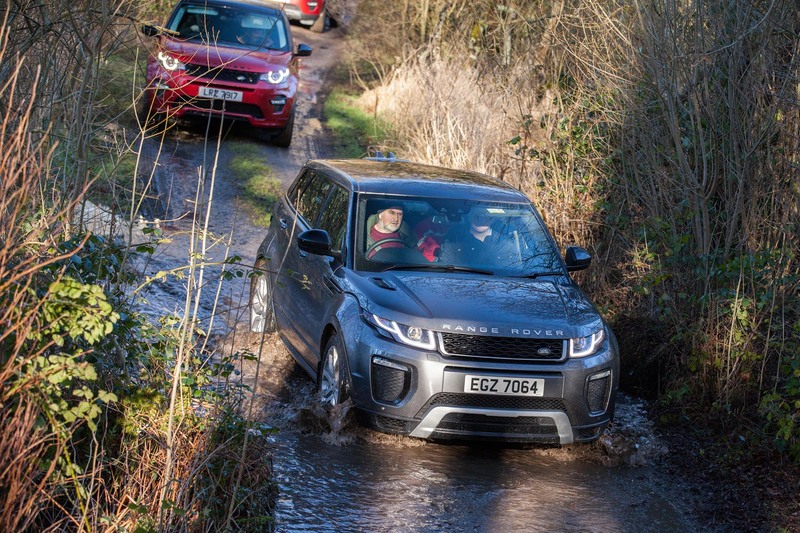 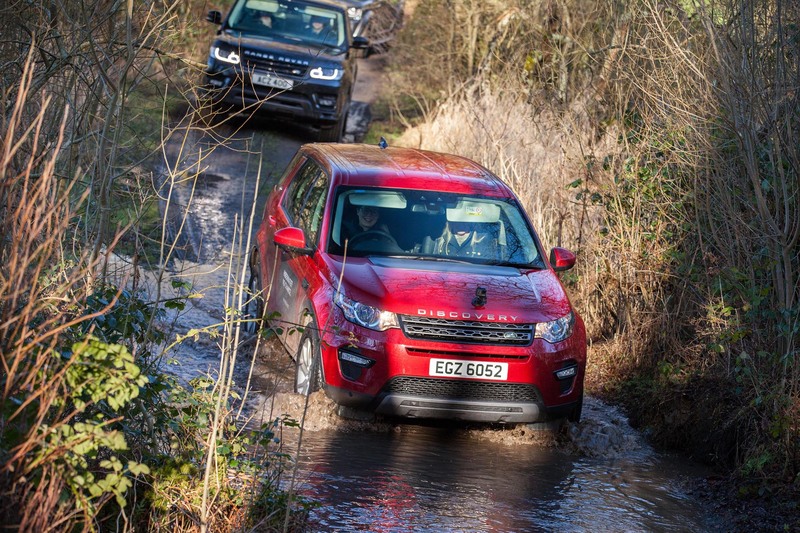 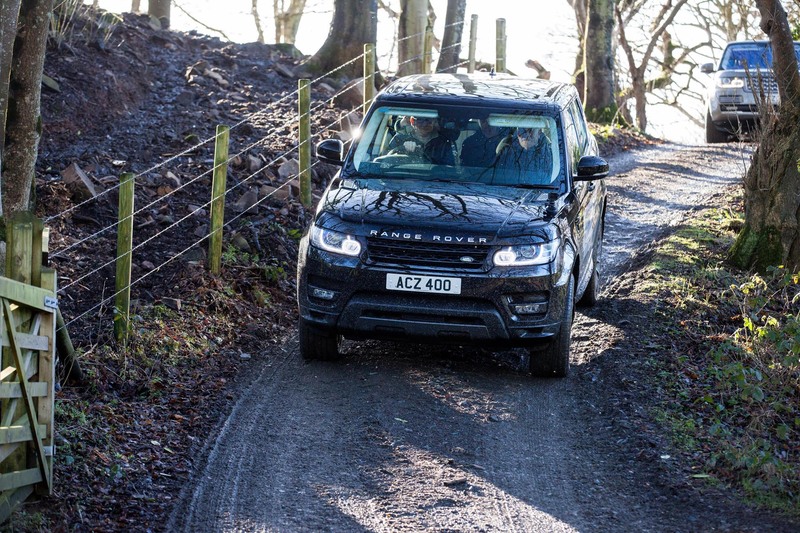 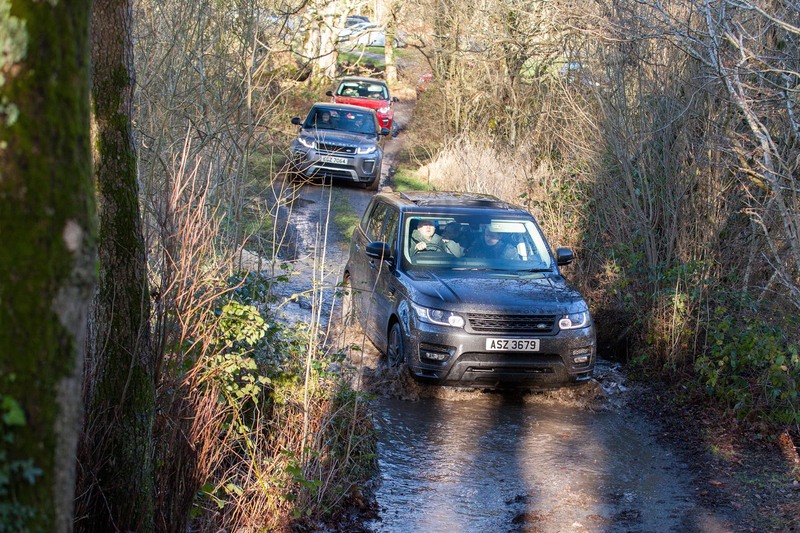 For many owners of the brand, driving up a kerb is something they will rarely do, never mind driving off-road and as such the short course laid on was more than adequate for everyone to get a feel for just what Land Rover is about. 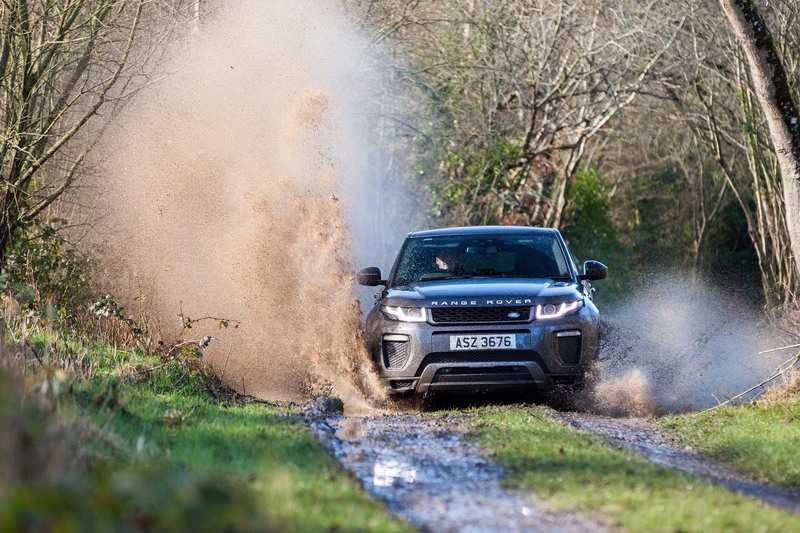 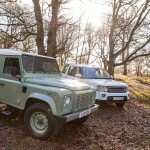 Land Rover for decades has been the pinnacle of off-road driving; the ability of its models mixed with quality and technology has always meant they have been a force to be reckoned with and as such no other brand has come close to offering that ‘do everything’ SUV. 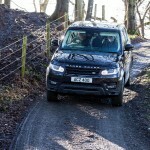 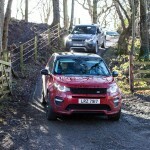 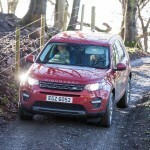 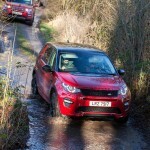 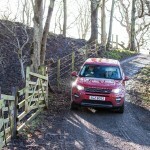 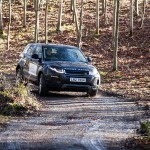 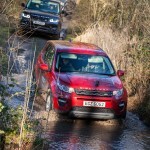 The full range was on offer for off-road driving, starting with the Land Rover ‘Discovery Sport’ which starts from £28,995 followed by the Discovery 5 and despite not having one available, as the first of the Land Rover Discovery 5’s are not due to the country for another couple of weeks, there was a lot of chat about this all new model which starts from £43,495. 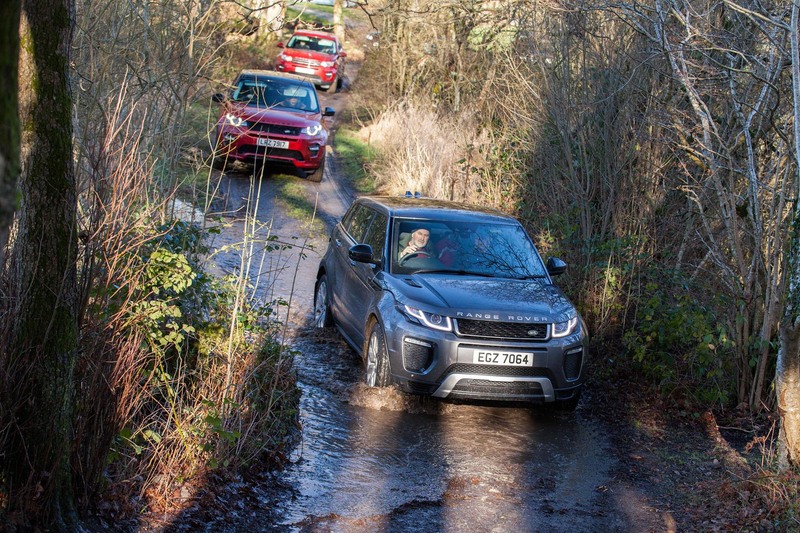 A trio of Range Rovers finished the line up, these included the ‘Evoque’ starting from £30,600, the ‘Sport’ which starts from £59,700 and proved to be highly popular today and finally the big girl of the fleet, the ‘Range Rover’ starting from £76,350 which provides the pinnacle of refined capability. 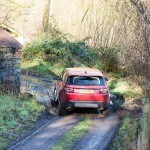 After photographing the range around the tracks, with smiles all round from both drivers and passengers, i chose to take the automatic Evoque for a quick test, mainly due to the fact that it’s the only model i have never driven and despite not being a huge fan of them on the road i was quite impressed. 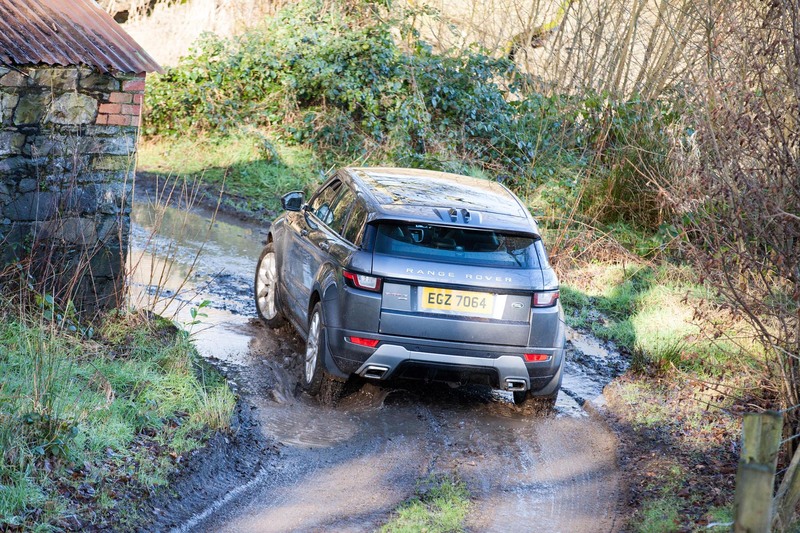 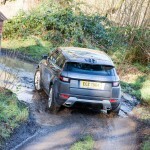 Descirbed as ‘Distinctive and individual, a true Range Rover in compact form’ the Evoque seems to be most popular on the school run for many famalies and with its low slung stance does look attractive and off-road it didn’t dissapoint. 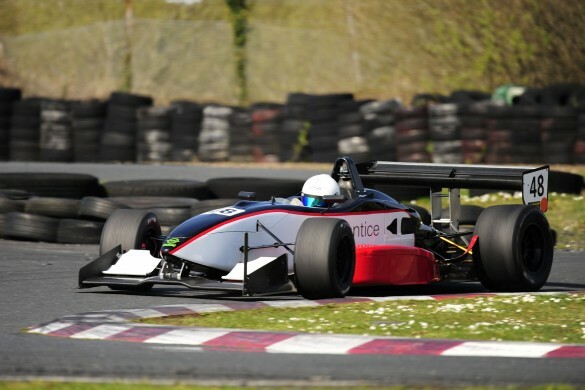 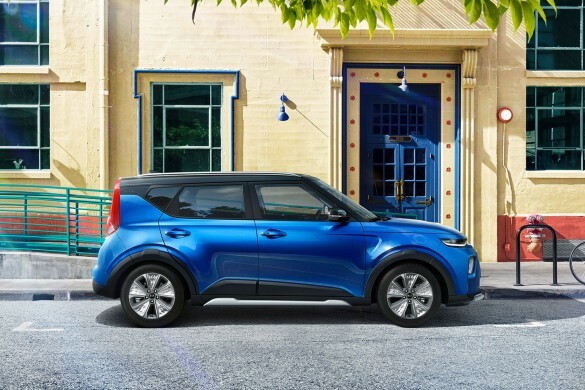 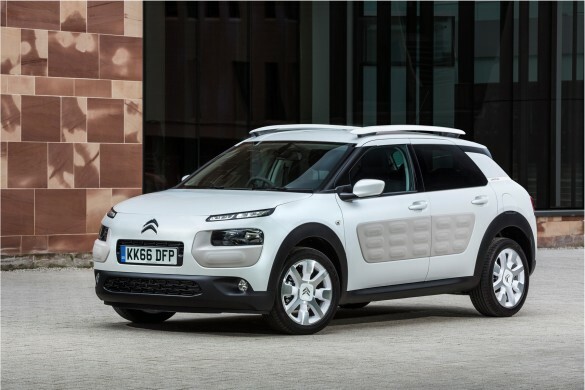 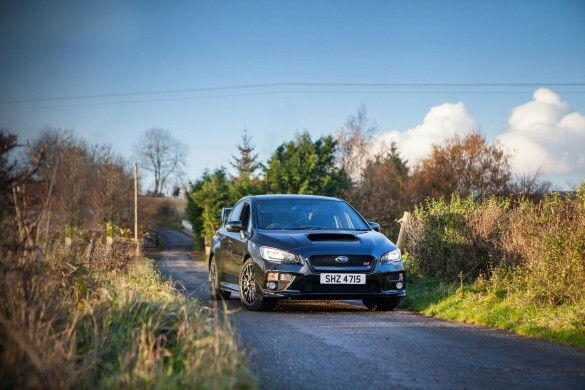 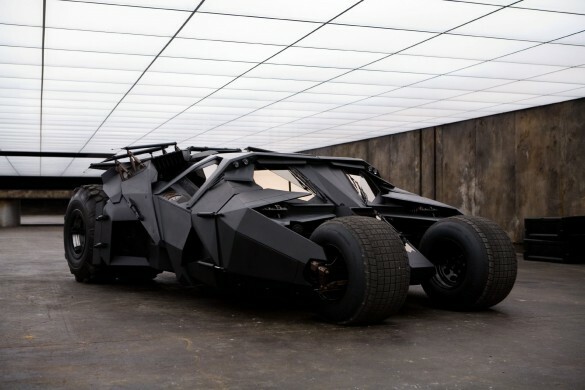 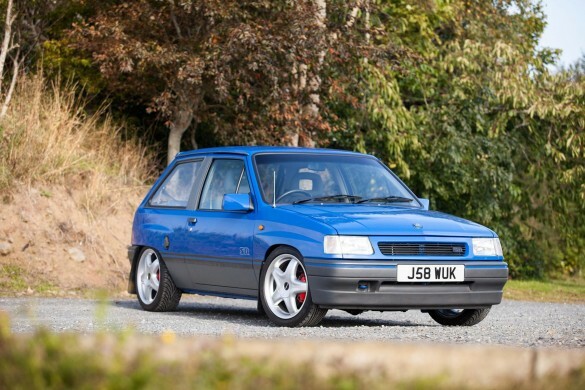 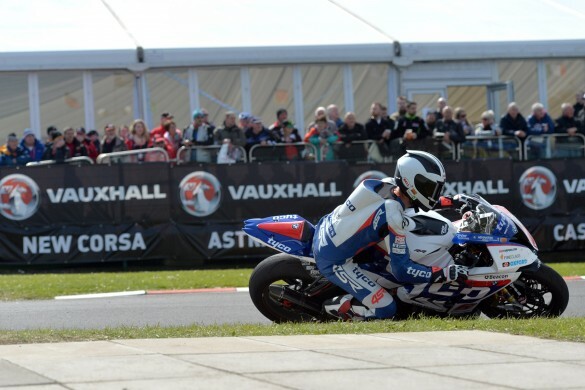 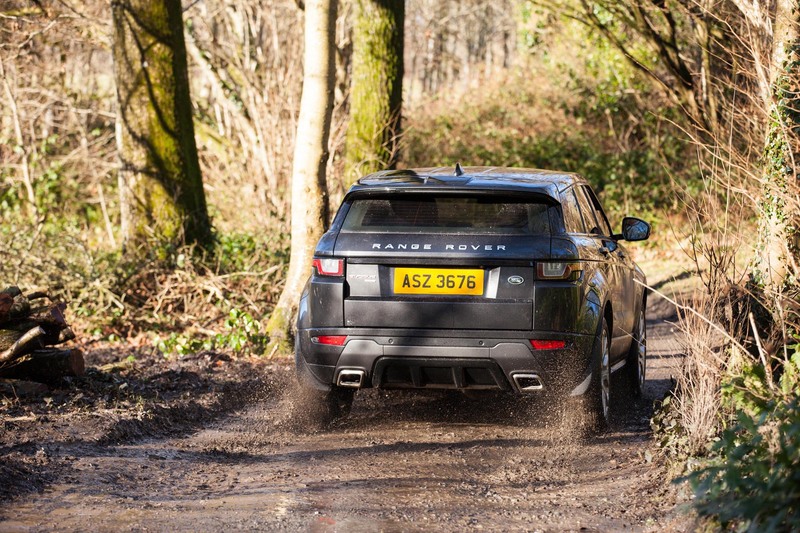 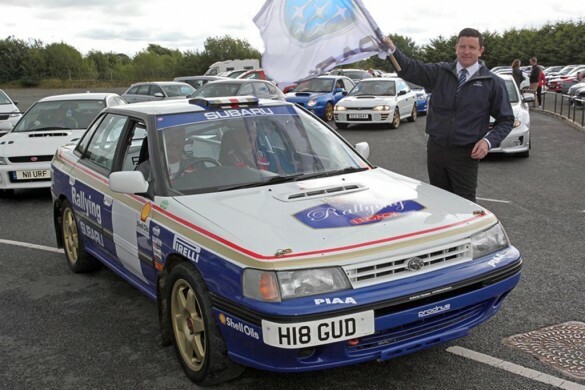 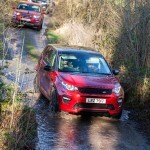 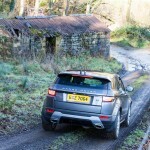 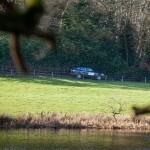 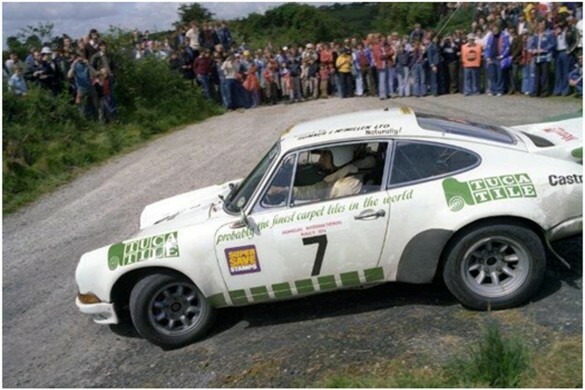 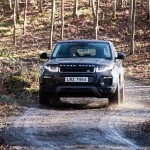 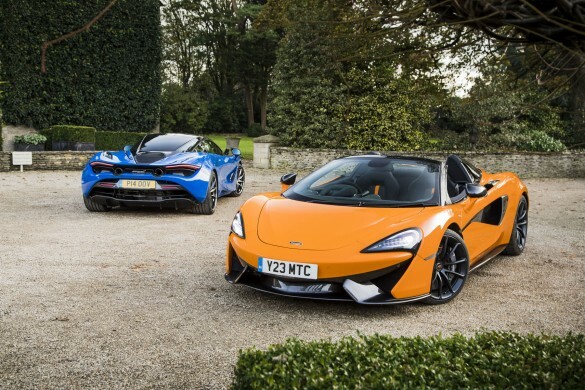 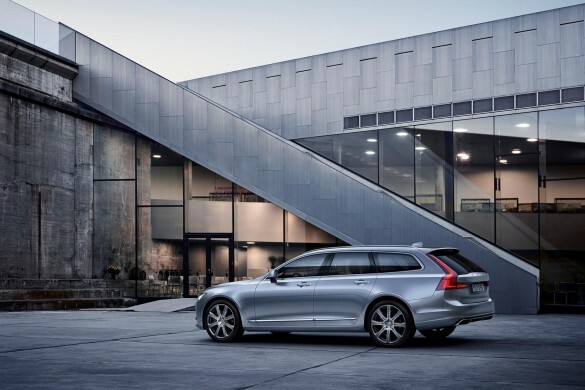 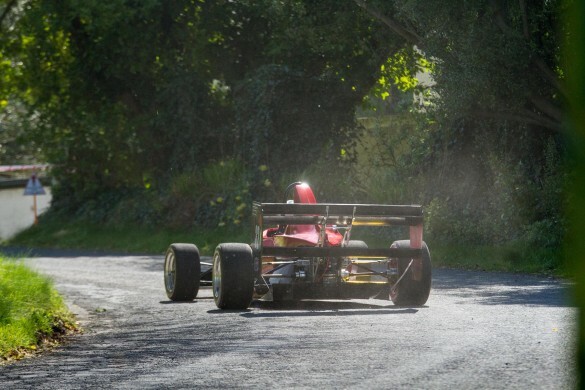 Comfort in abundance no matter what was under foot and all the DNA of the brand required for off-road ability. 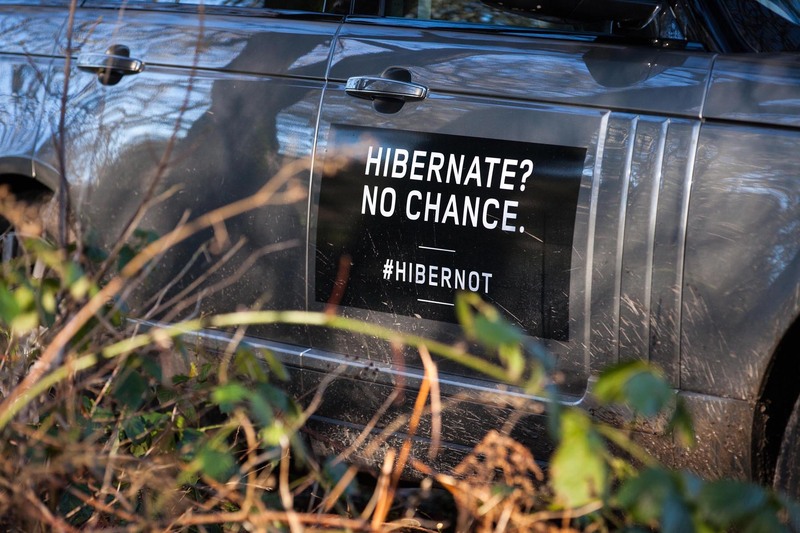 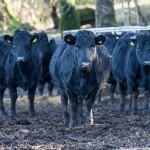 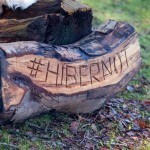 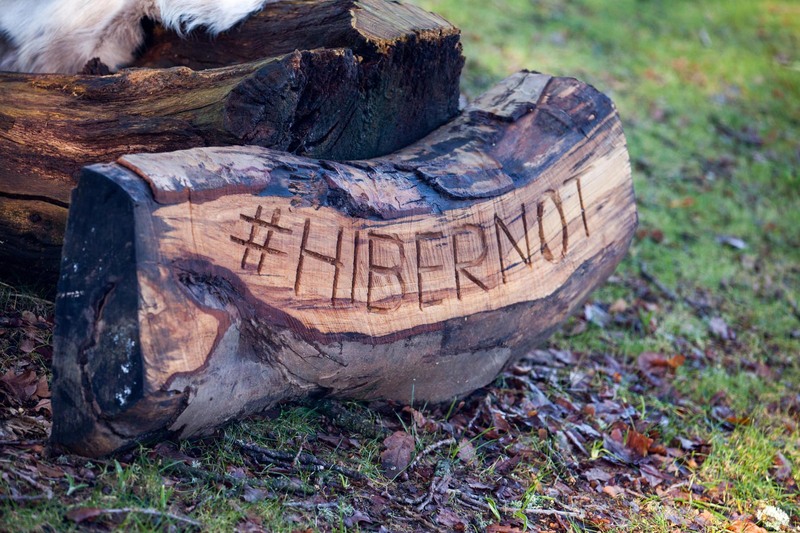 As I write this I am feeling refreshed having been outdoors all morning, well fed with quality foods thanks to Chris Burt and grateful for Land Rovers determination against that all too easy to do hibernation during the winter months and as the motto of #HIBERNOT says ‘This year, see winter differently. 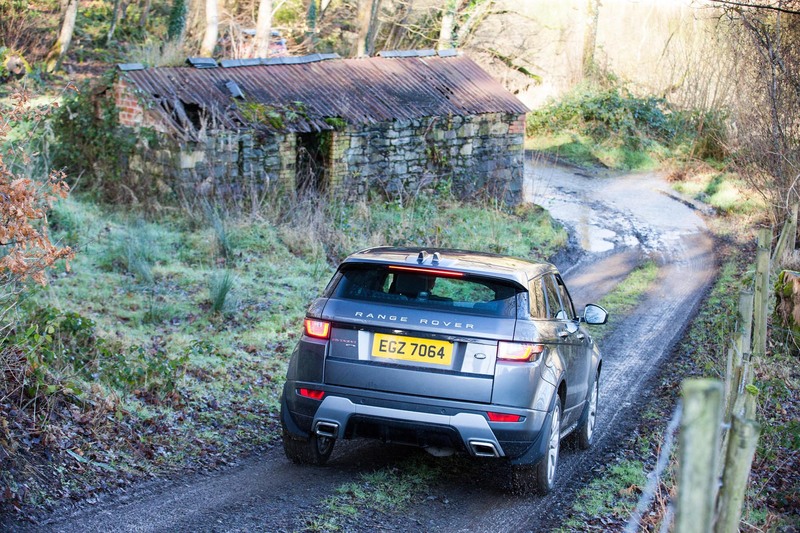 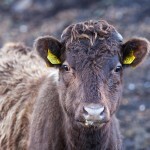 Town or countryside, city or coast, embrace everything the season has to offer and make more of Winter Time’. 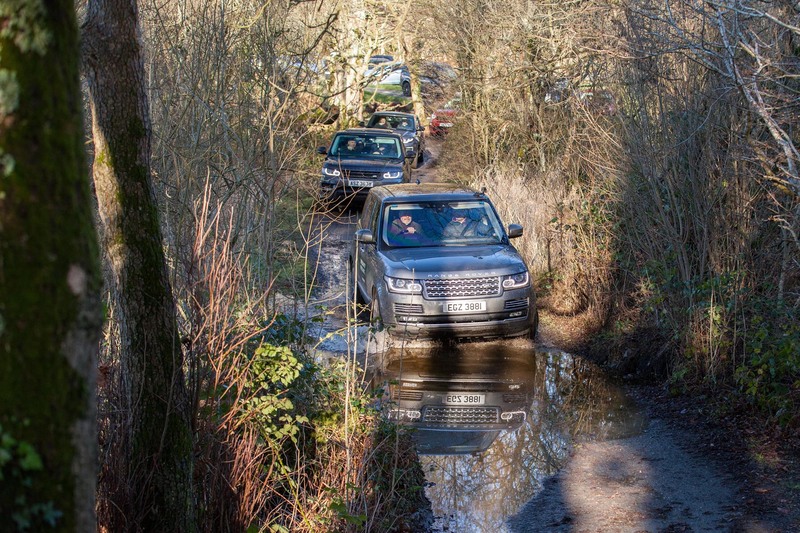 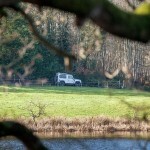 As a fan of the outdoors I really couldn’t agree more, especially for those with a Land Rover of some description sitting on the drive, as with such a vehicle there is absolutely no excuse for not going somewhere as with a Land Rover you can go anywhere! 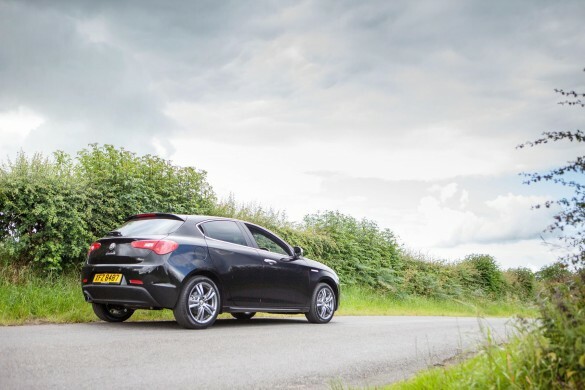 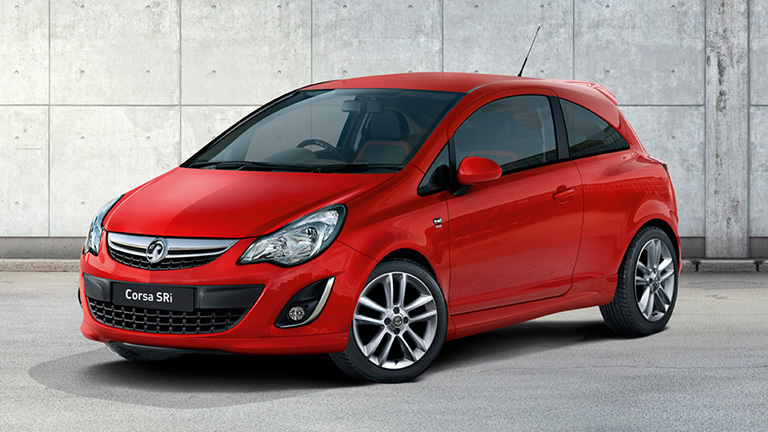 URGENT Recall for Vauxhall Corsa/Adam models.